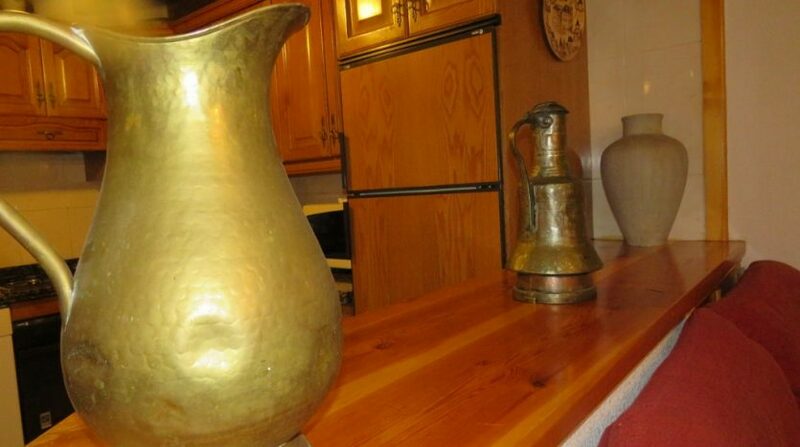 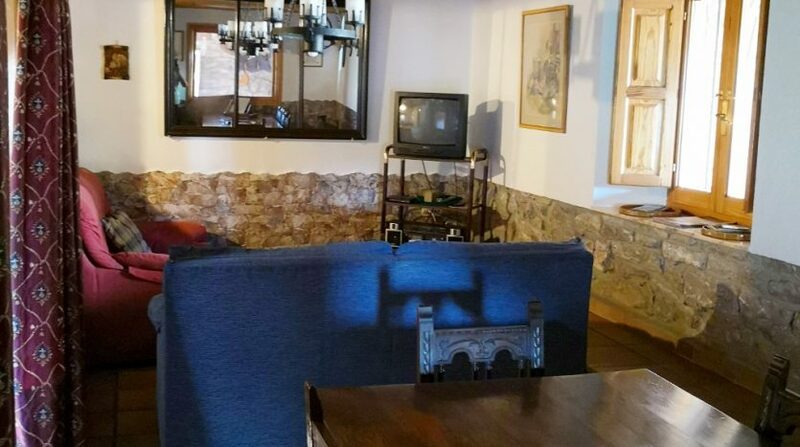 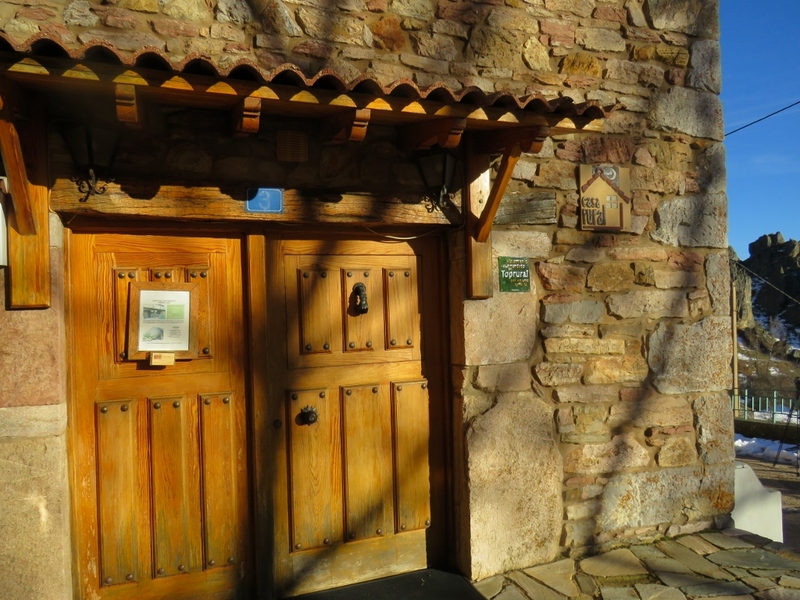 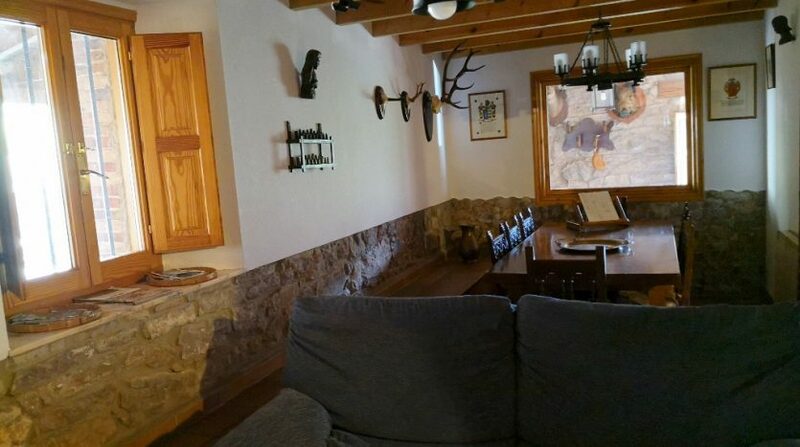 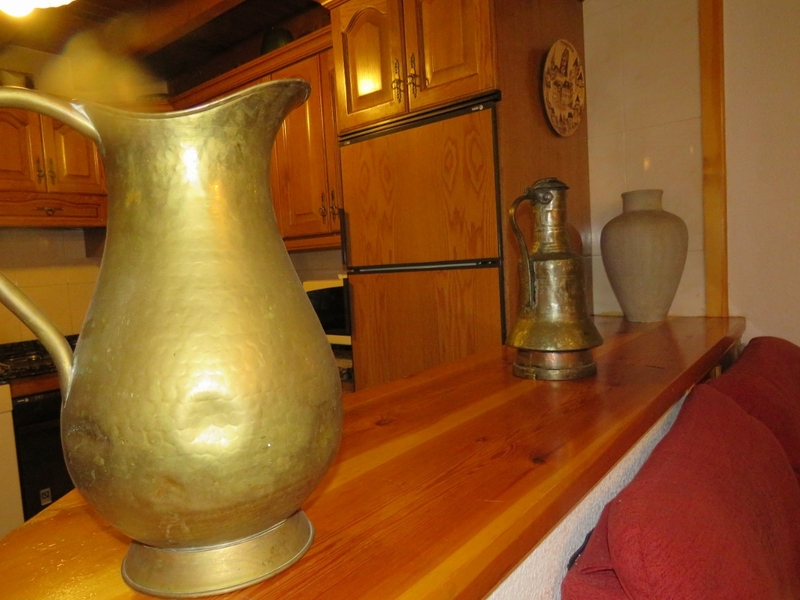 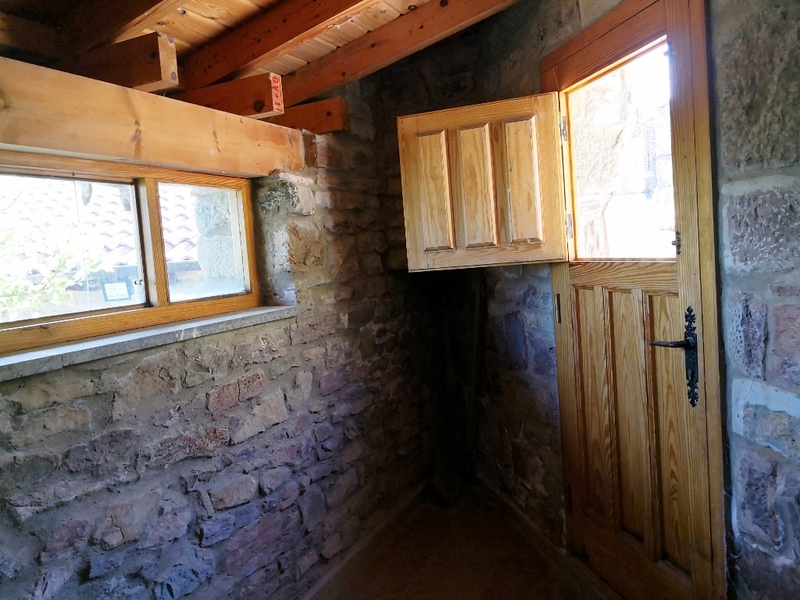 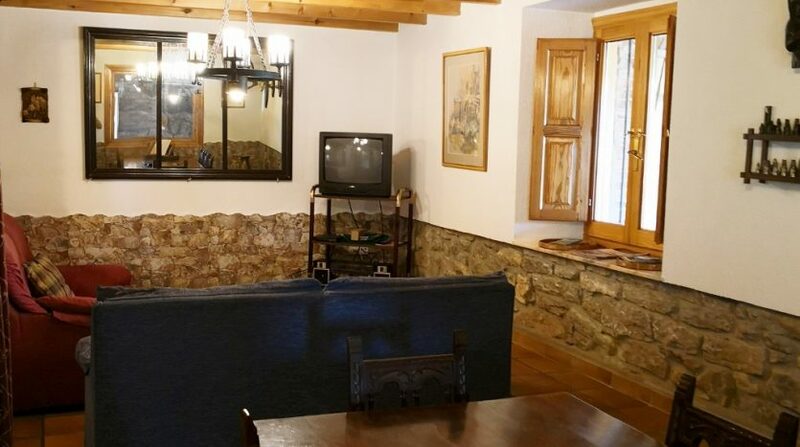 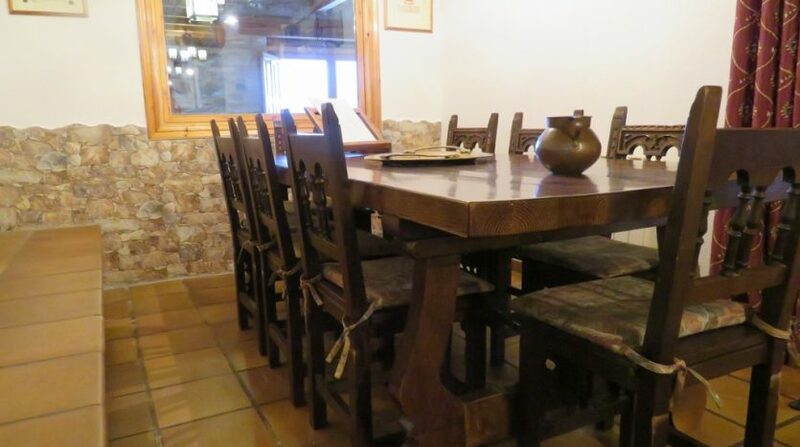 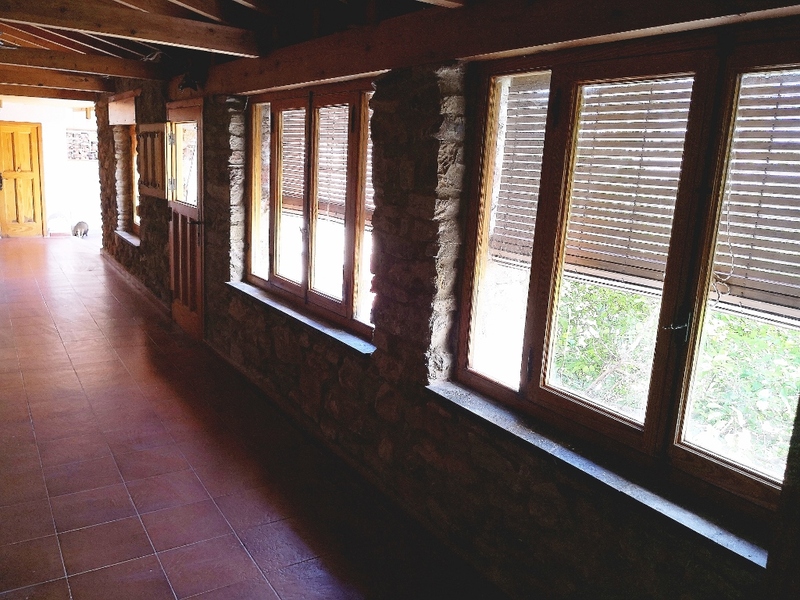 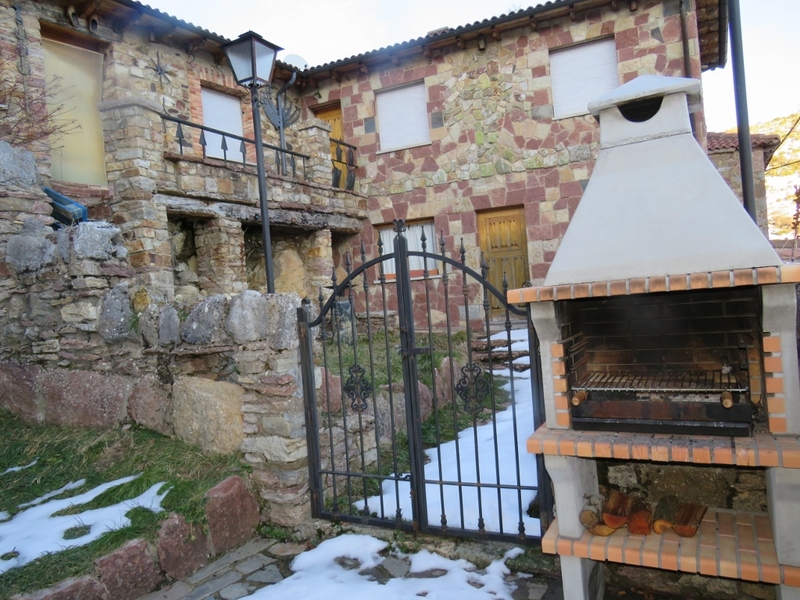 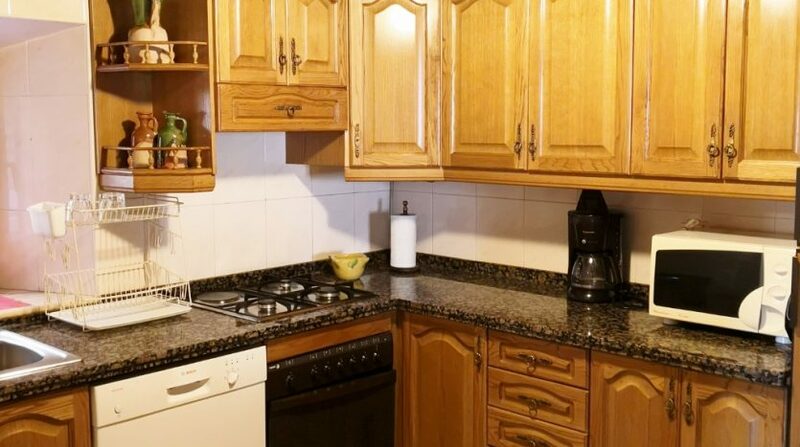 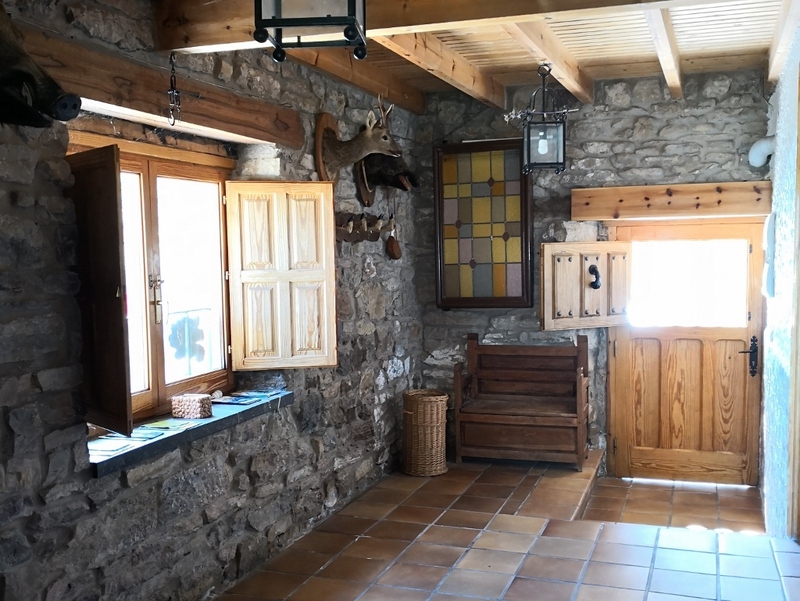 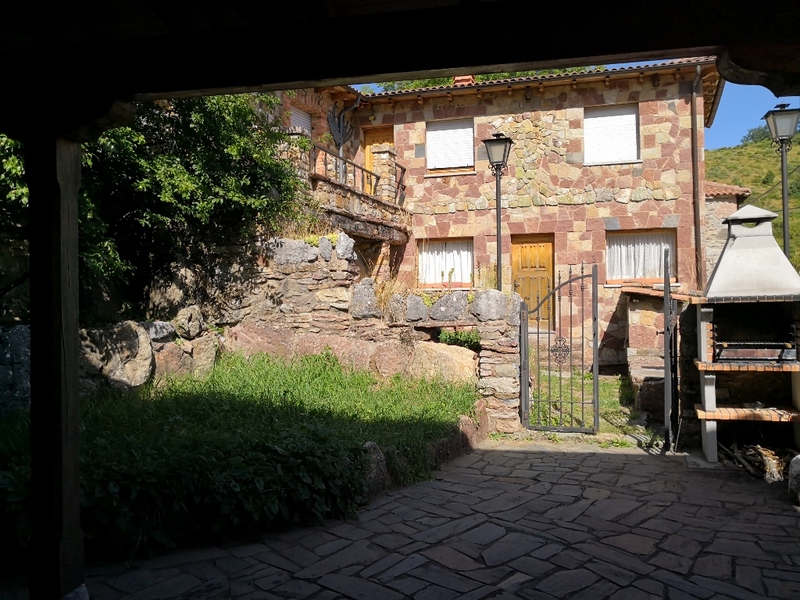 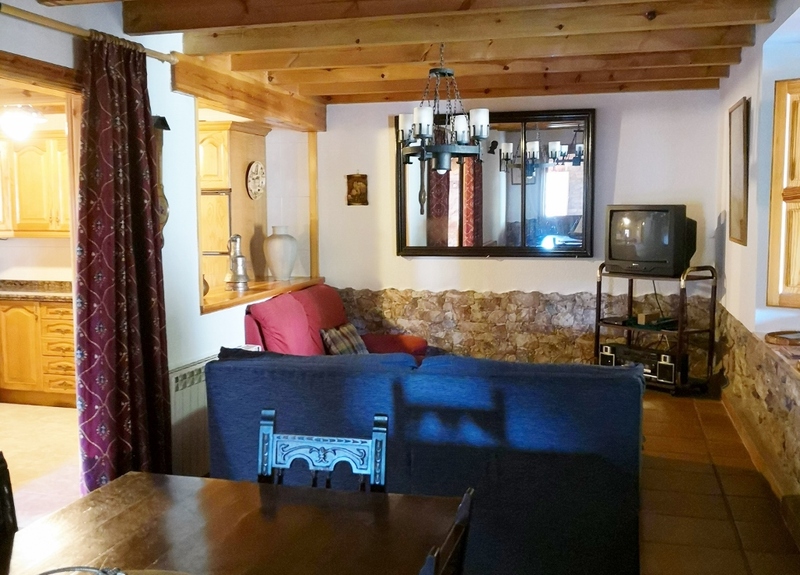 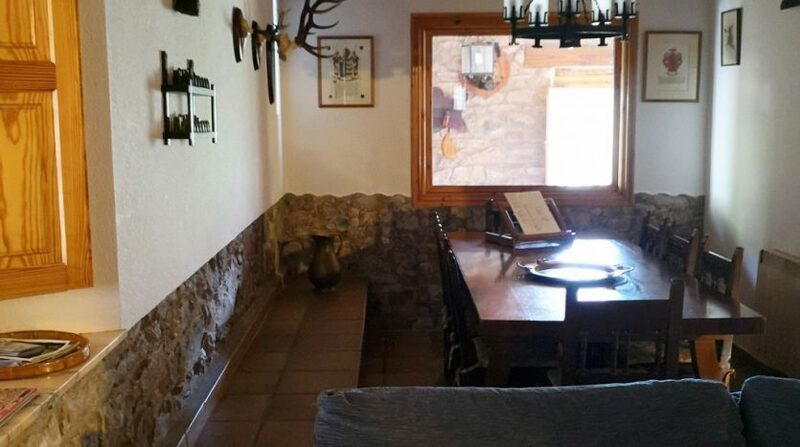 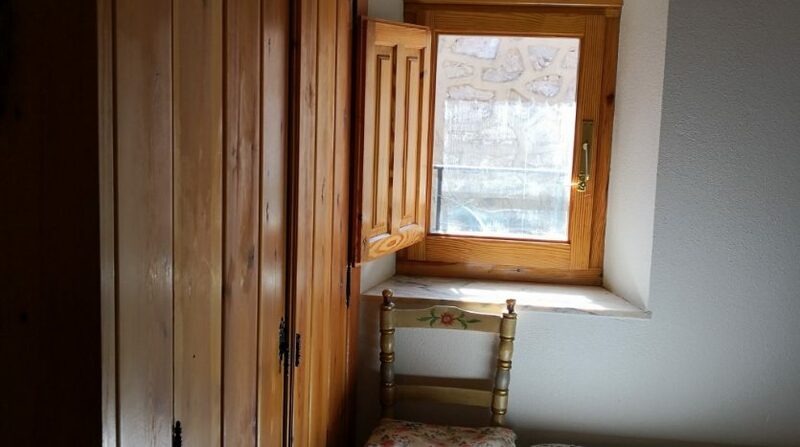 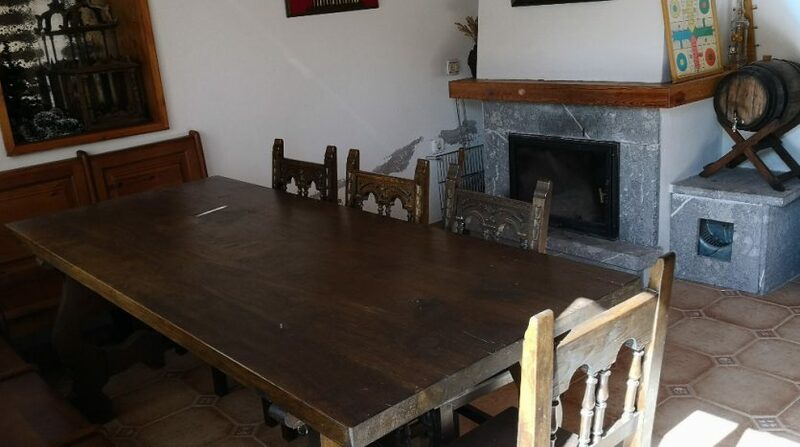 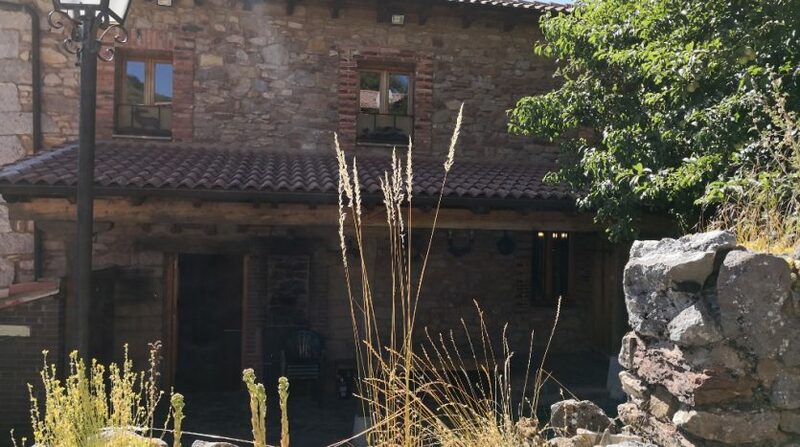 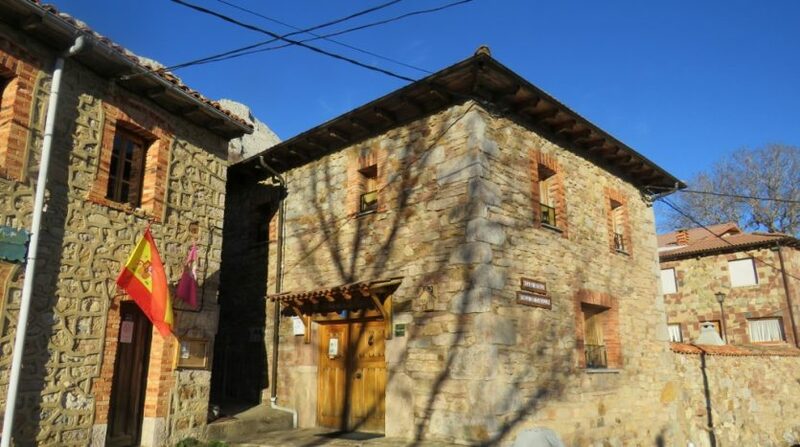 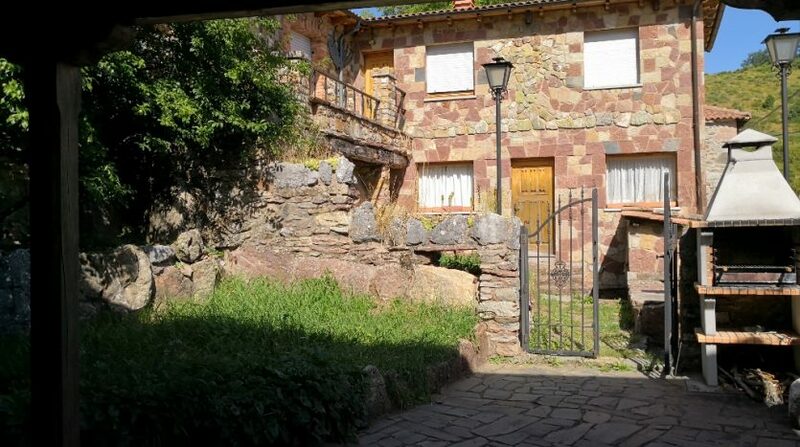 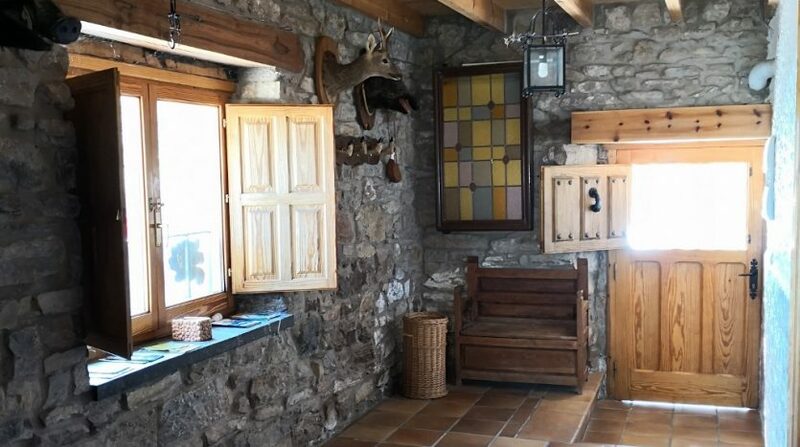 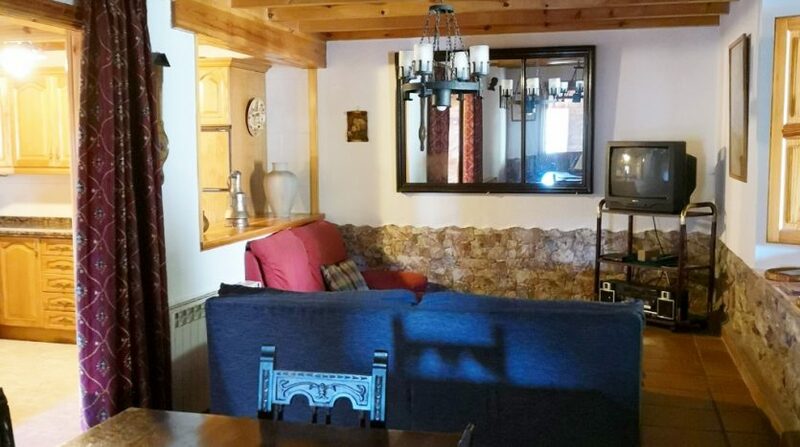 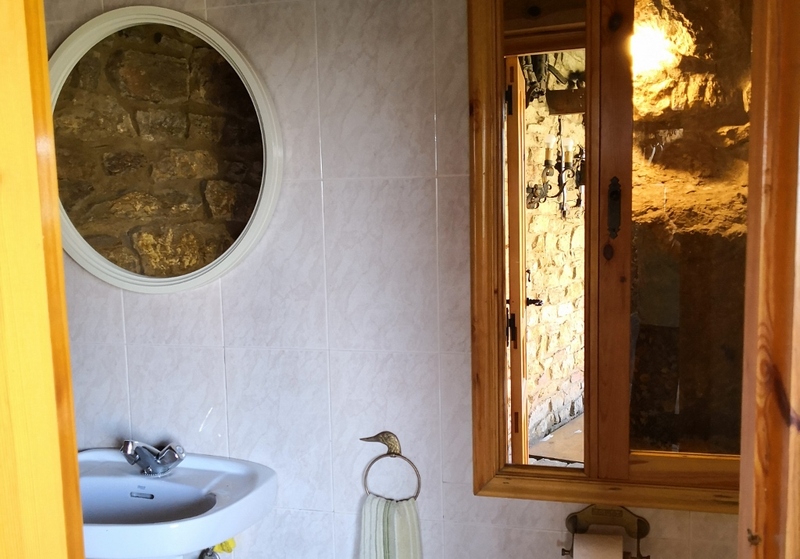 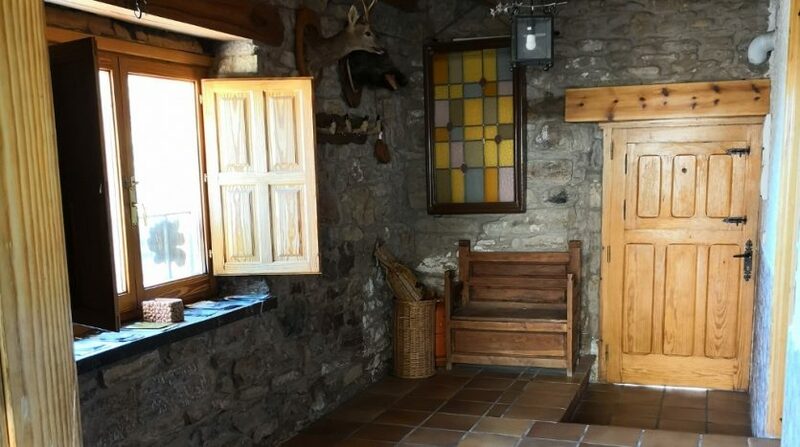 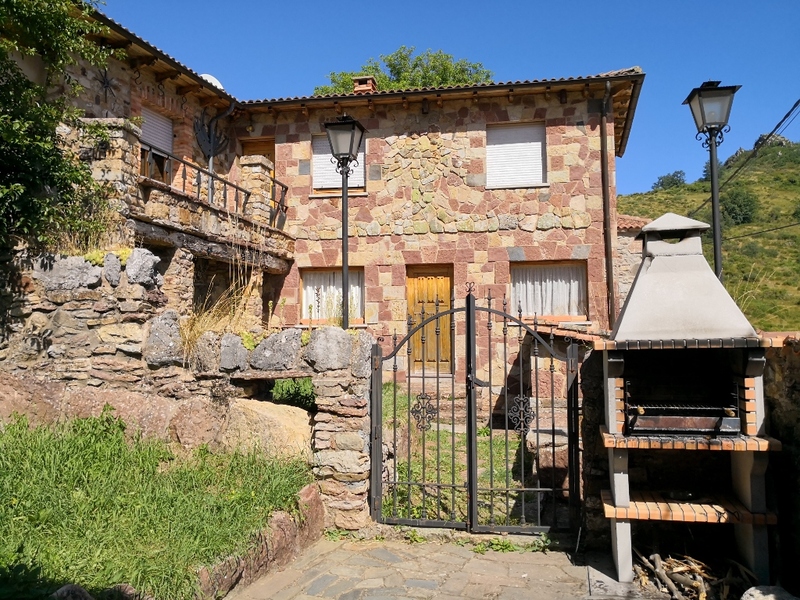 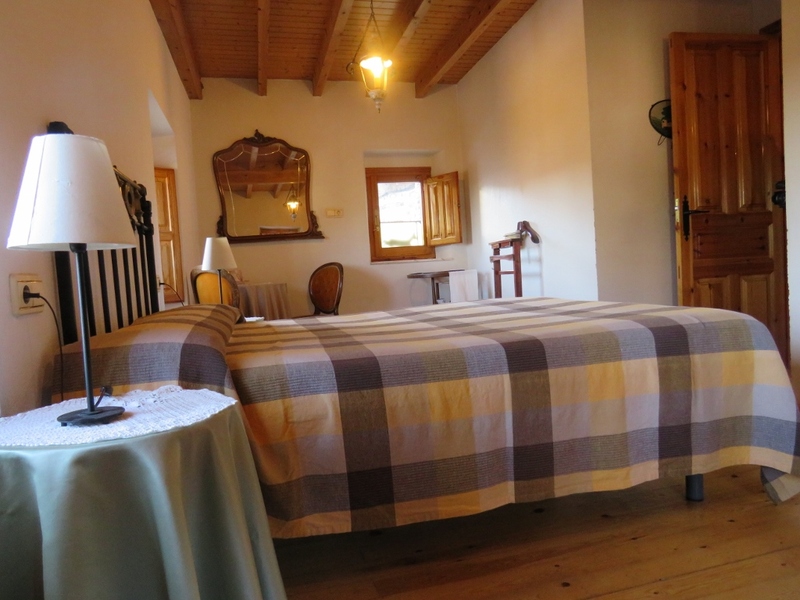 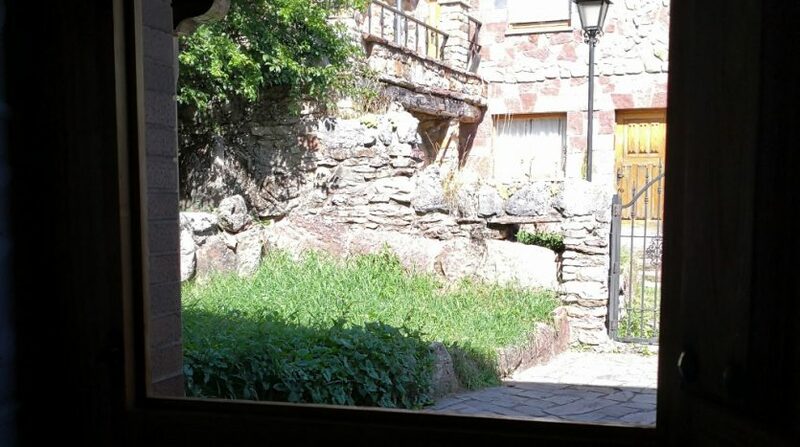 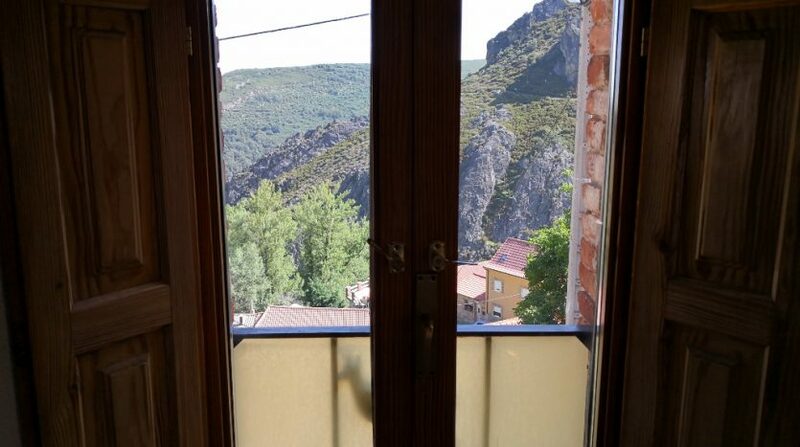 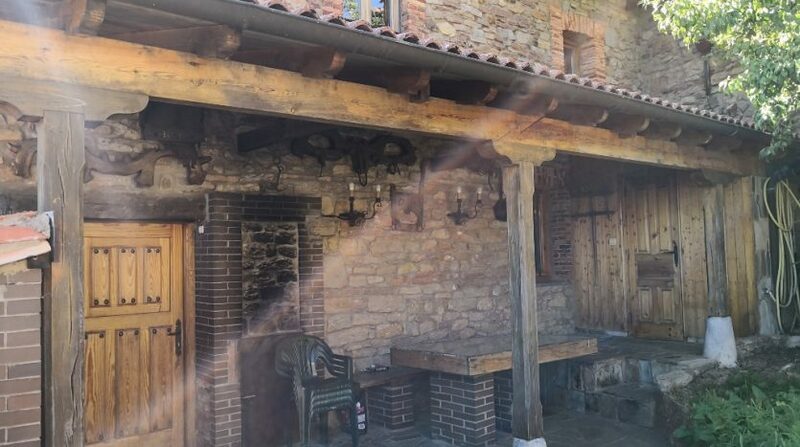 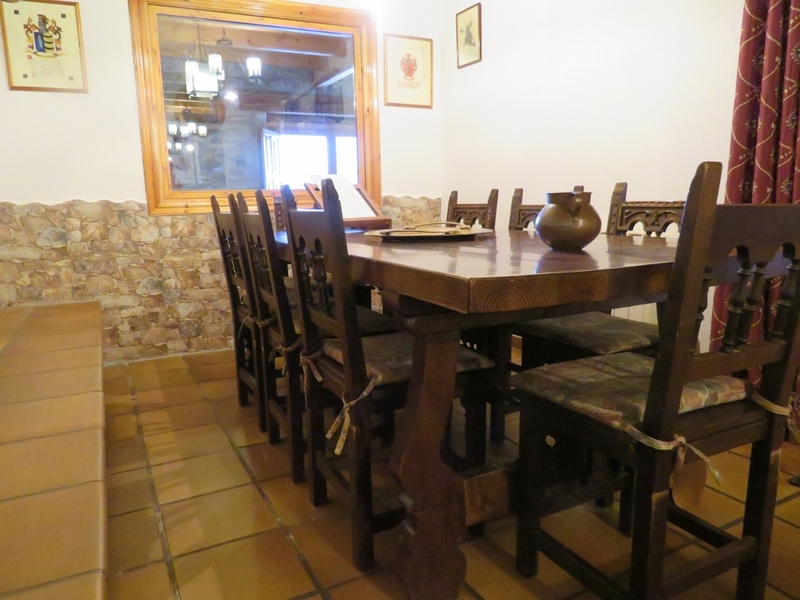 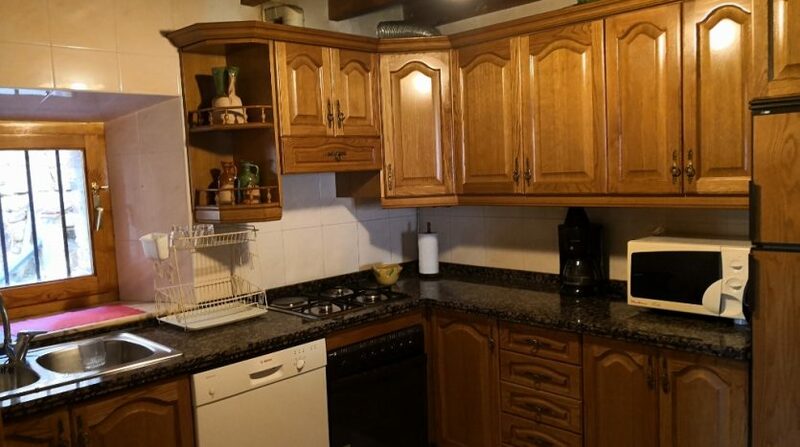 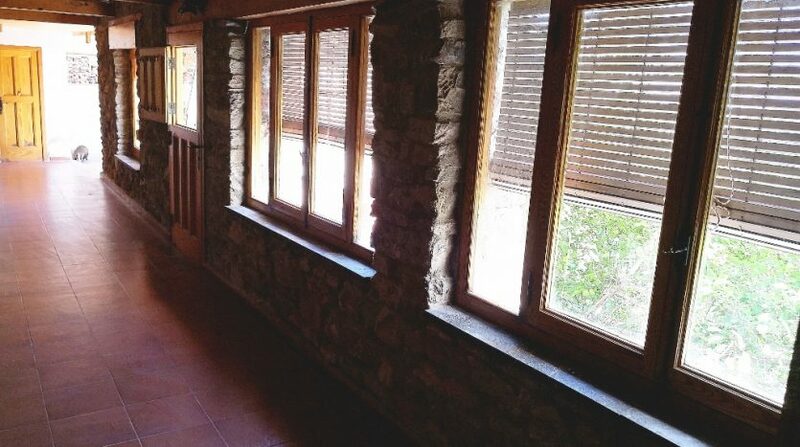 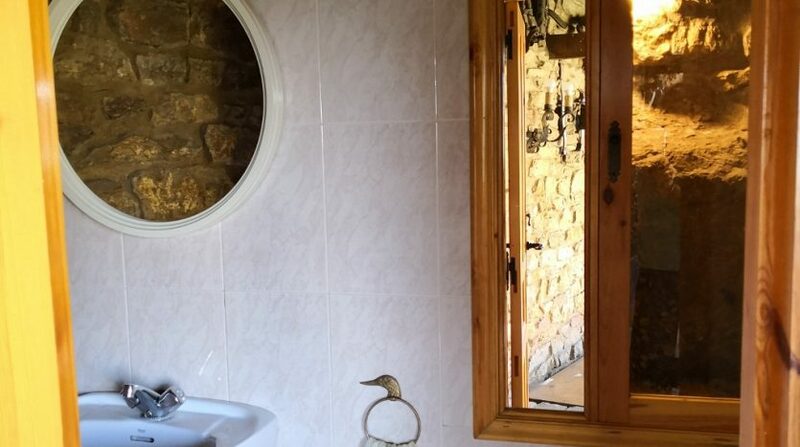 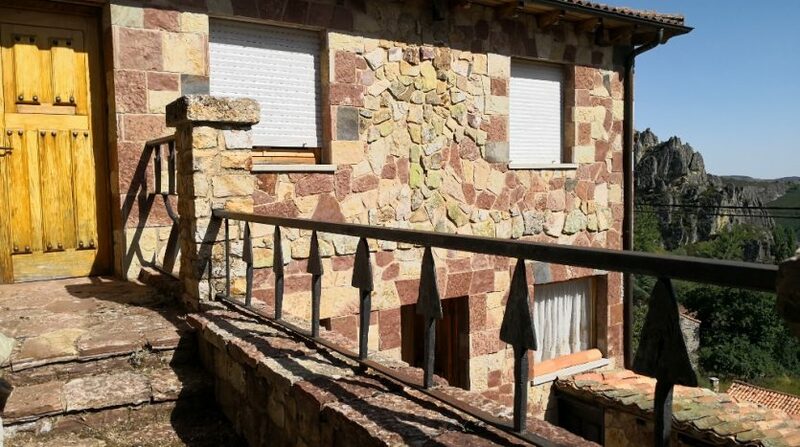 Stunning 4 bedroom stone cottage in the rural hamlet of Valdorria, León. 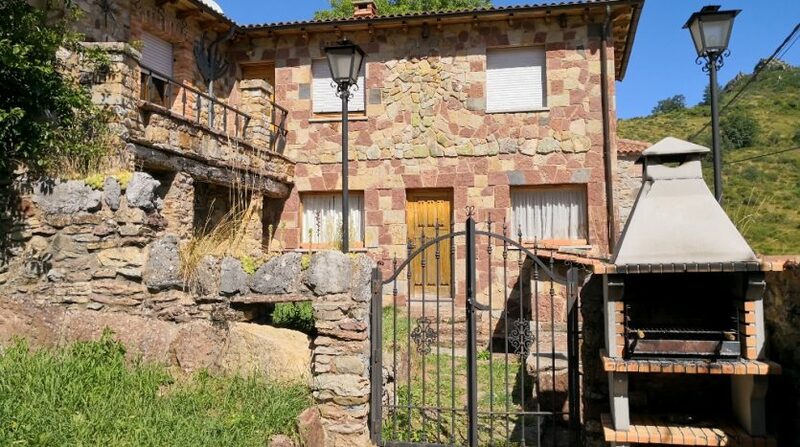 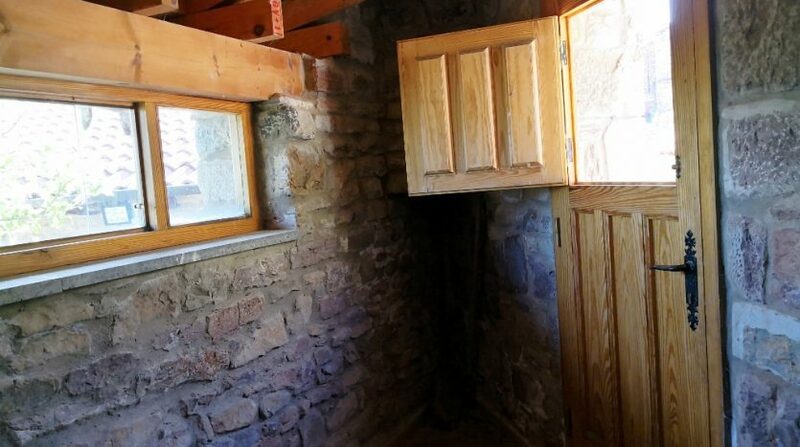 Currently a “Casa Rural” the property would make a great business or holiday home. 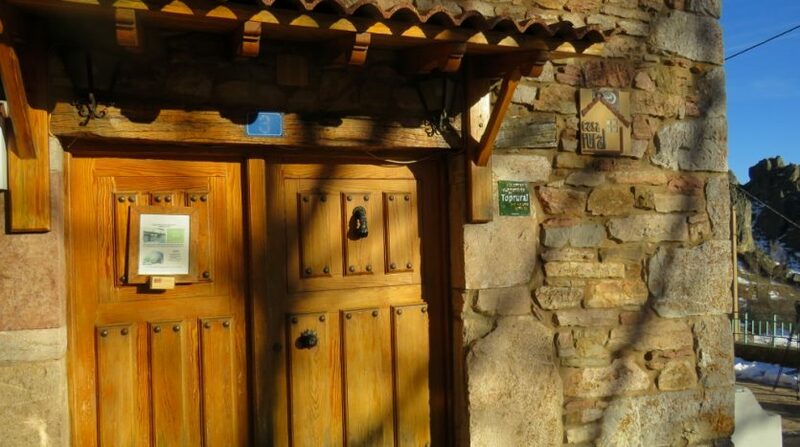 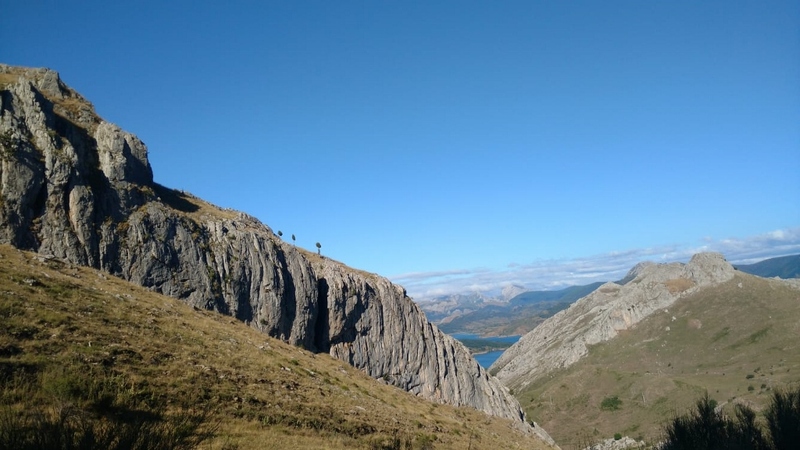 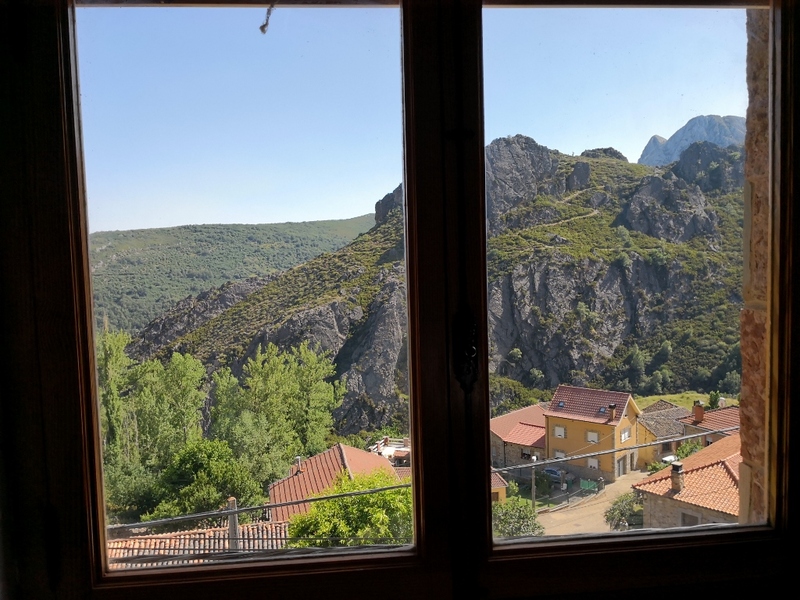 Less than an hour from the historic city of León and within easy reach of Santander and Bilbao. 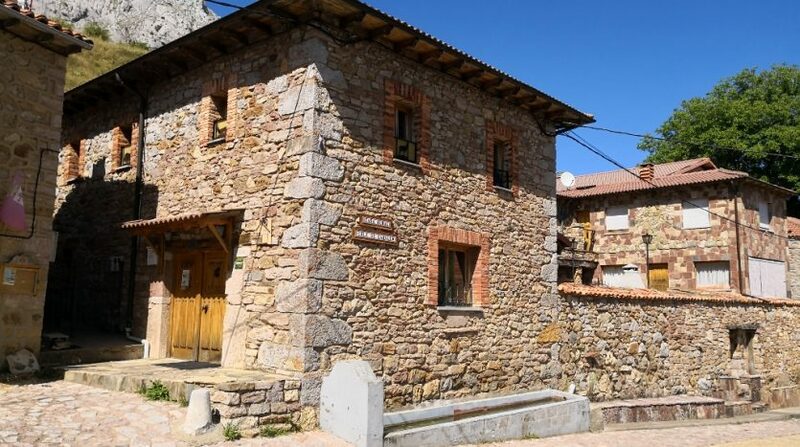 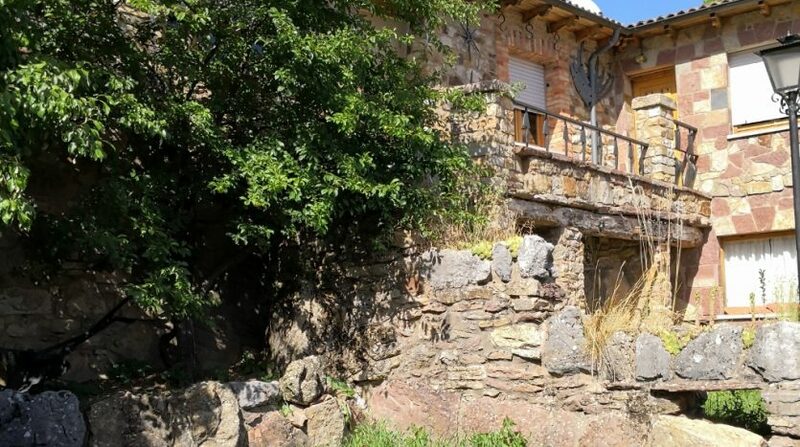 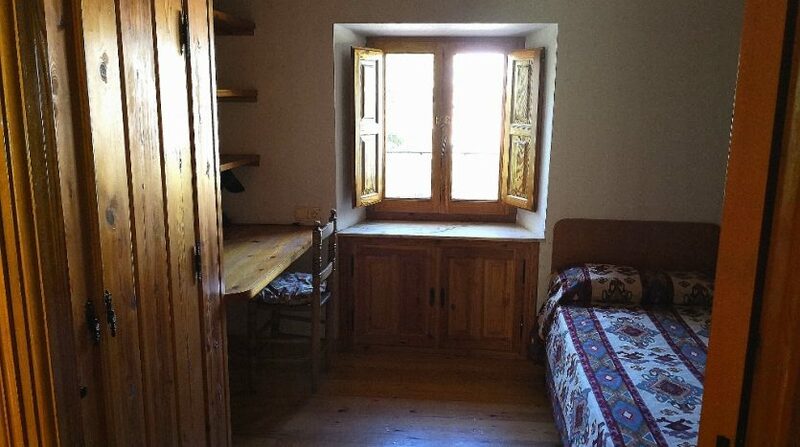 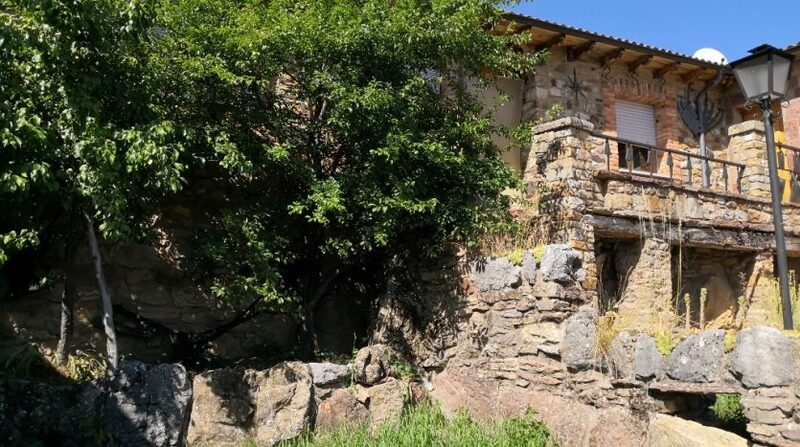 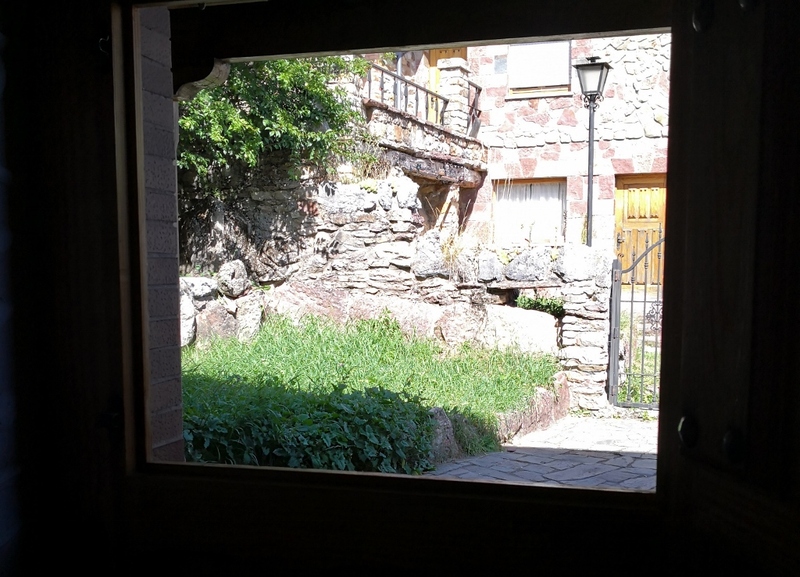 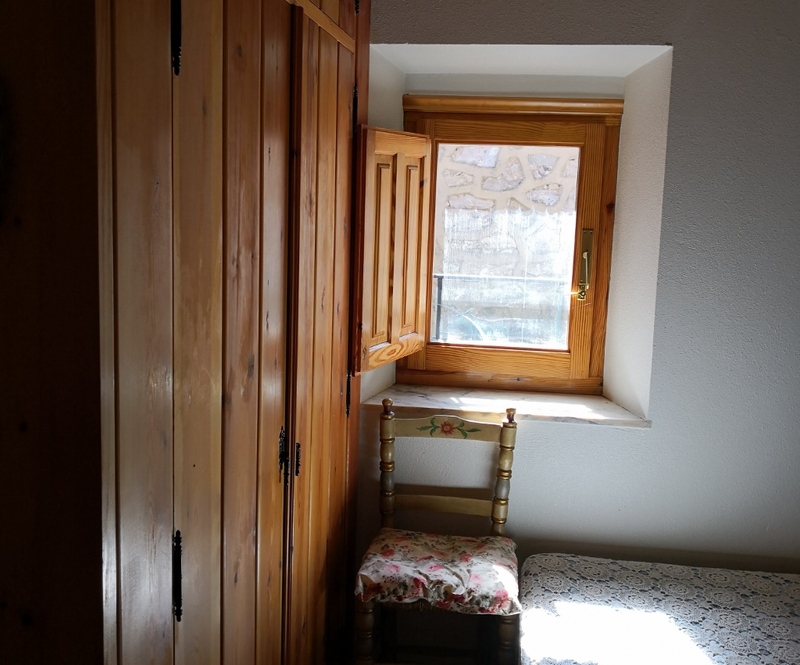 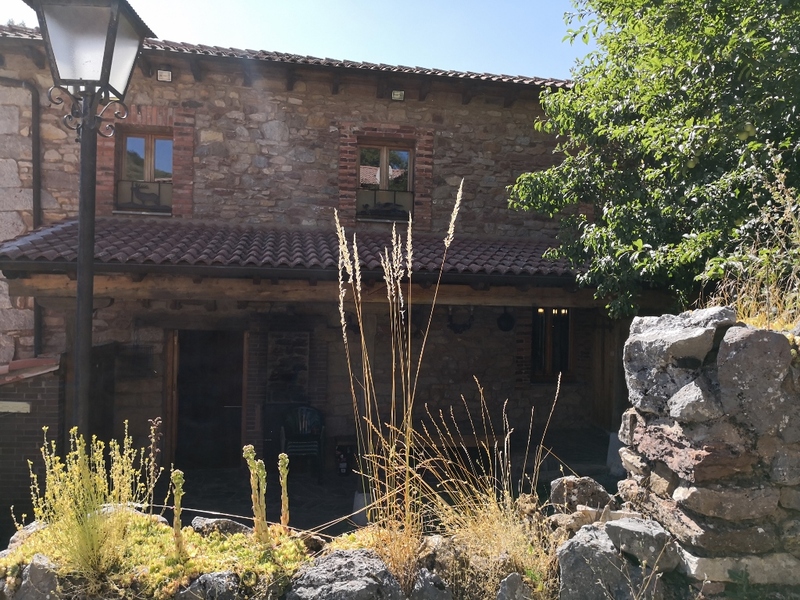 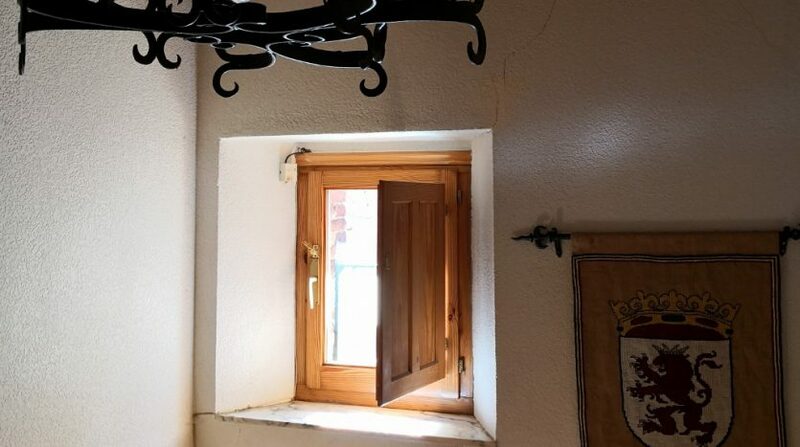 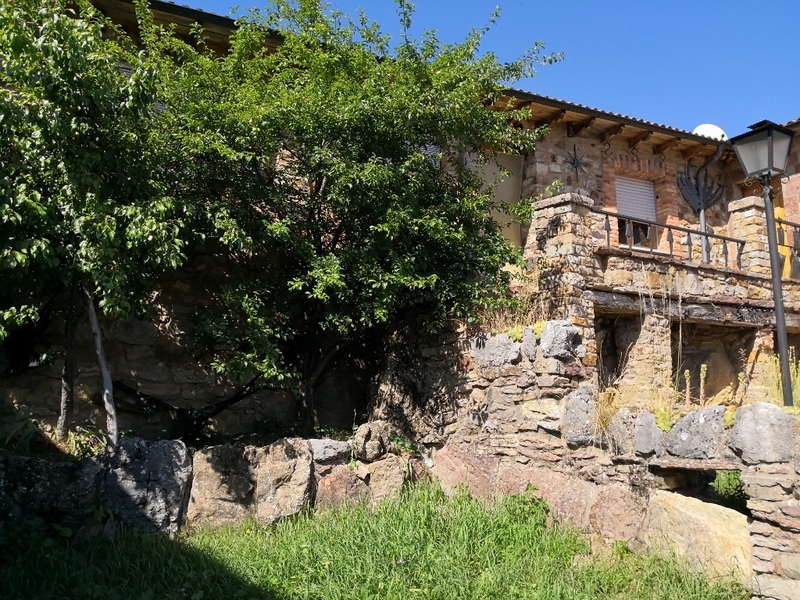 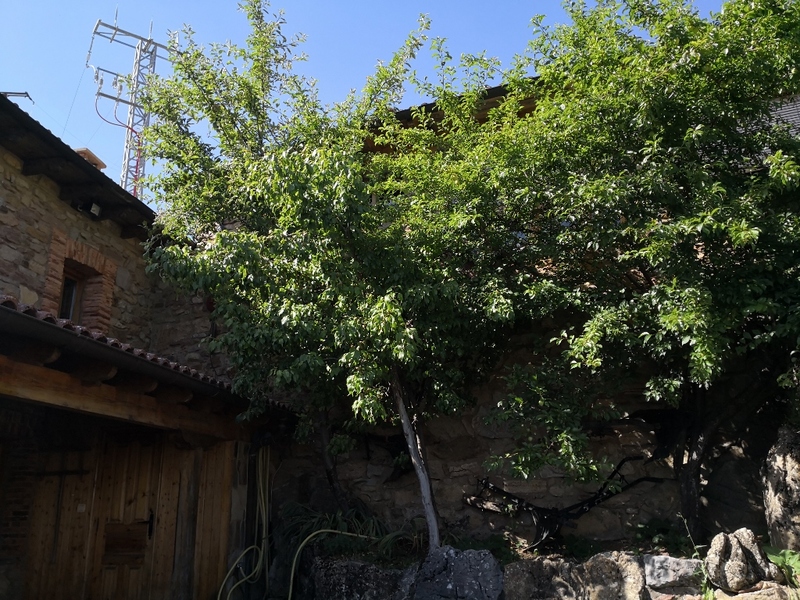 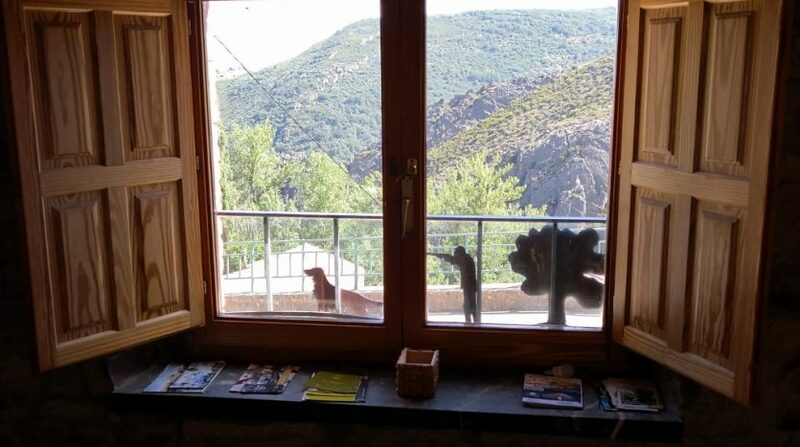 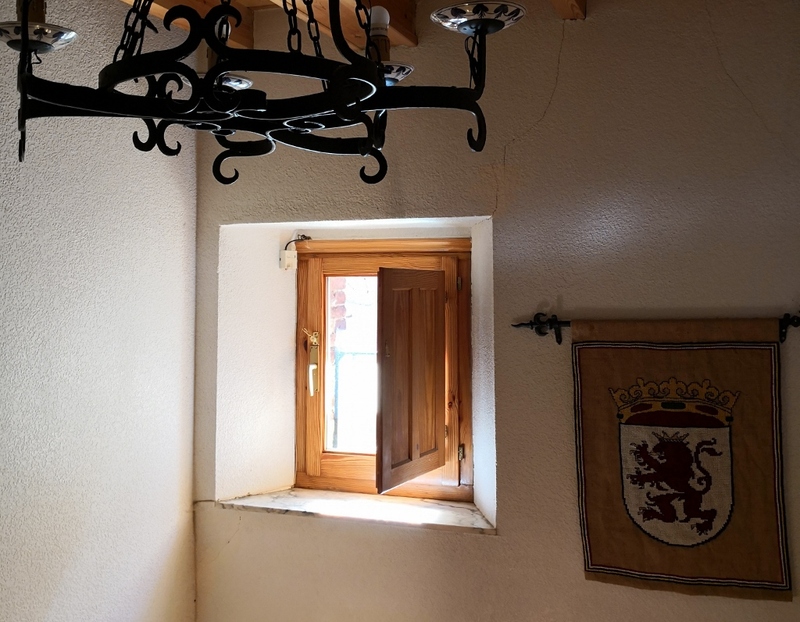 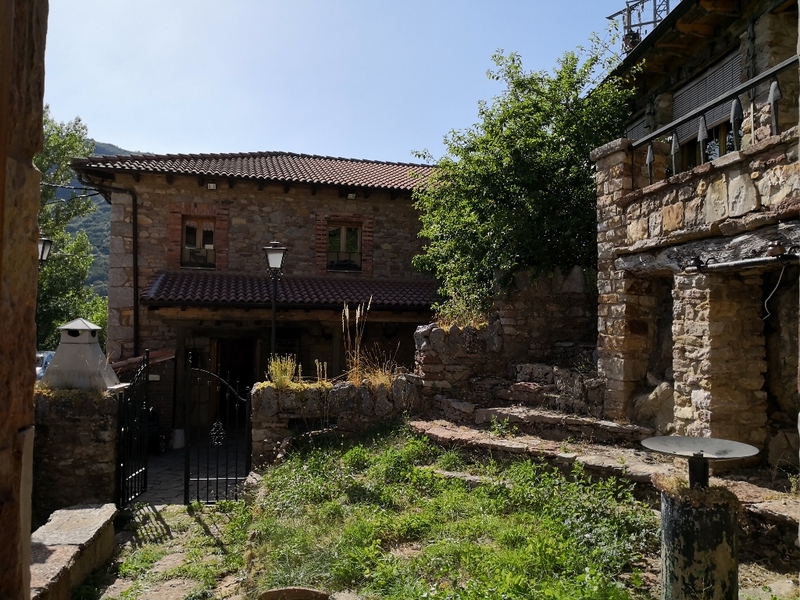 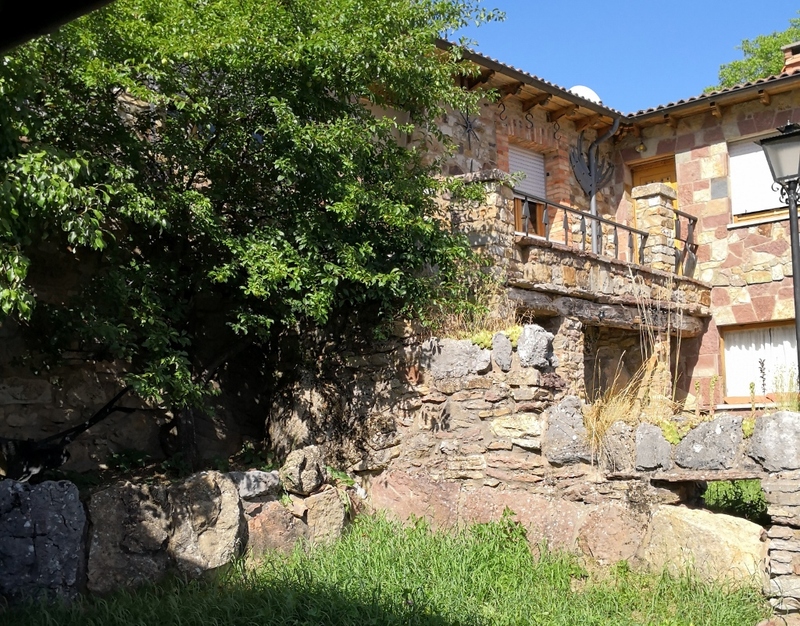 This charming stone cottage is located in the small hamlet of Valdorria in the beautiful Cordillera Cantábrica León countryside. An area unspoiled by mass tourism with some of the most attractive natural features you could imagine. 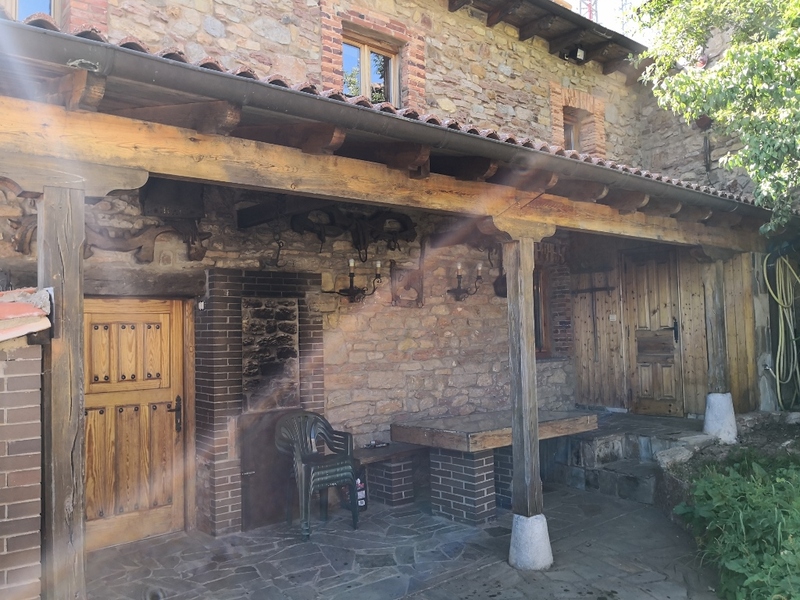 The style of the property is typical of the area with the use of stone and wood which creates charm and character throughout. 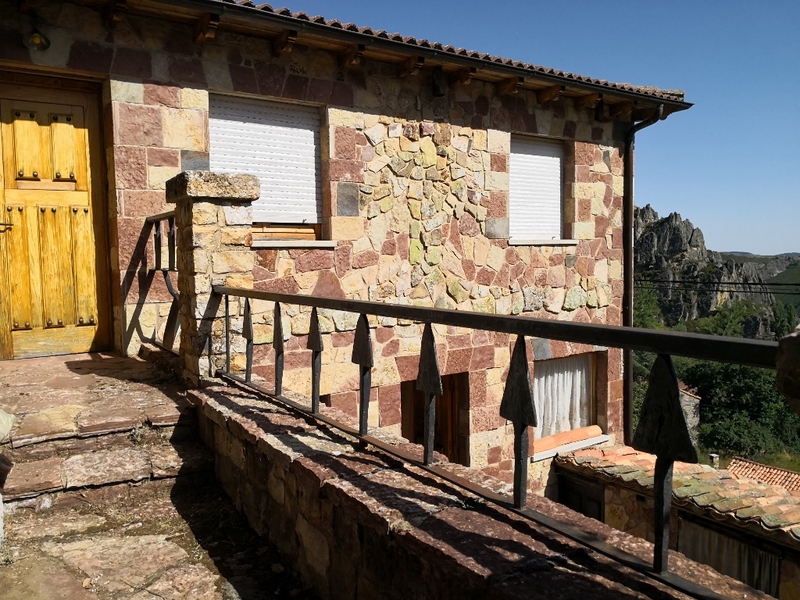 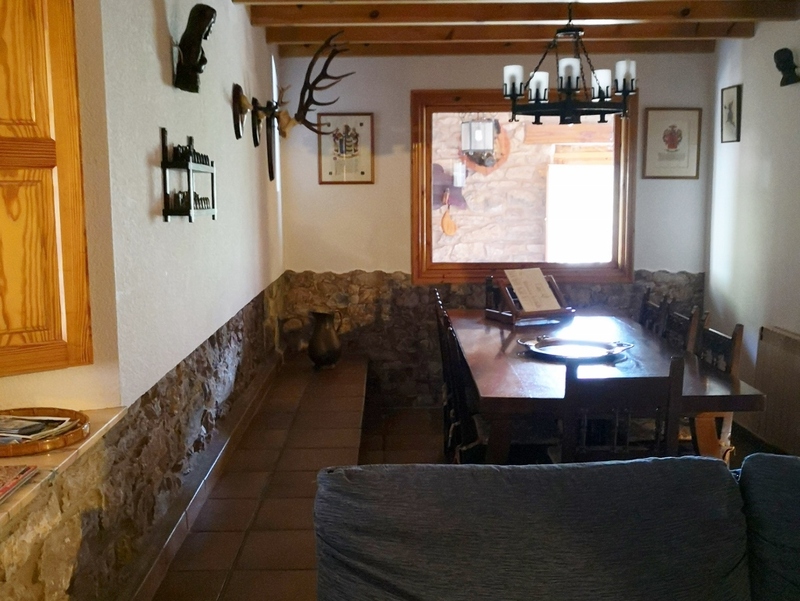 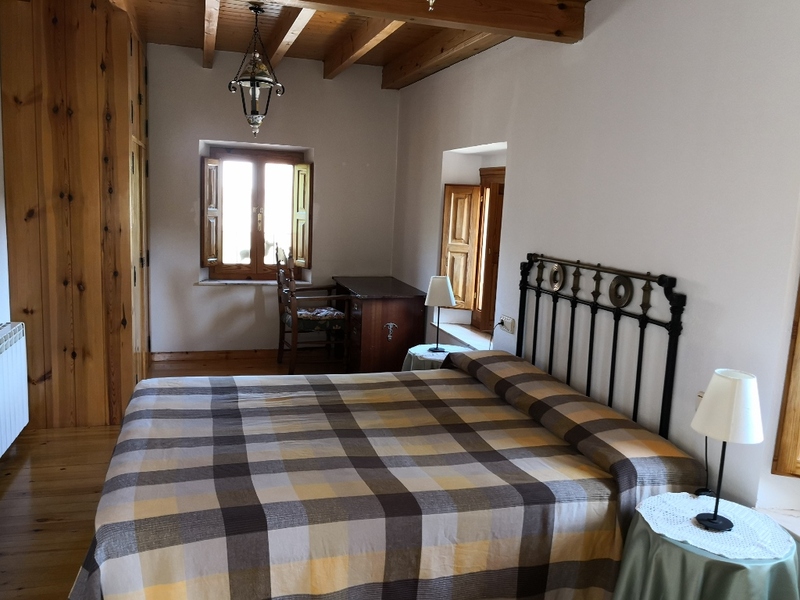 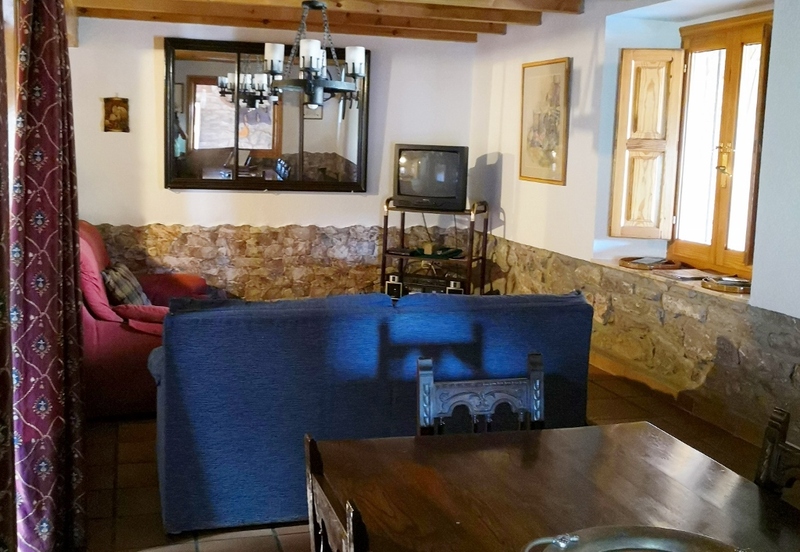 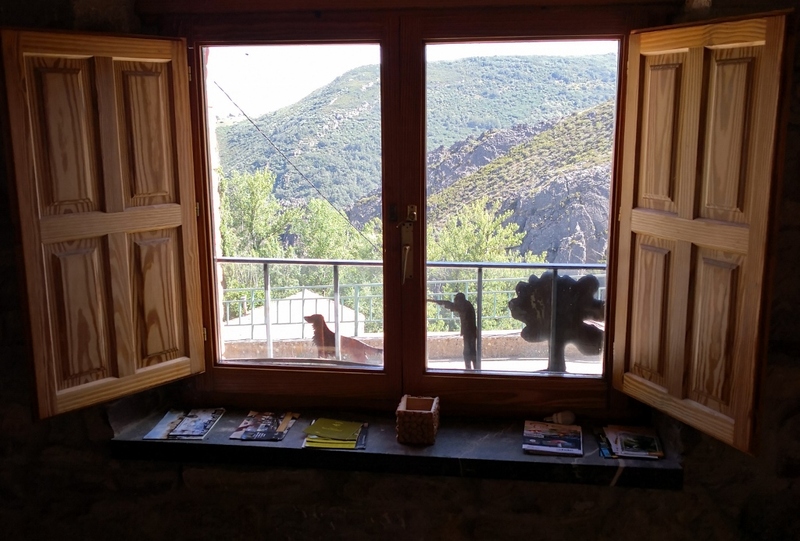 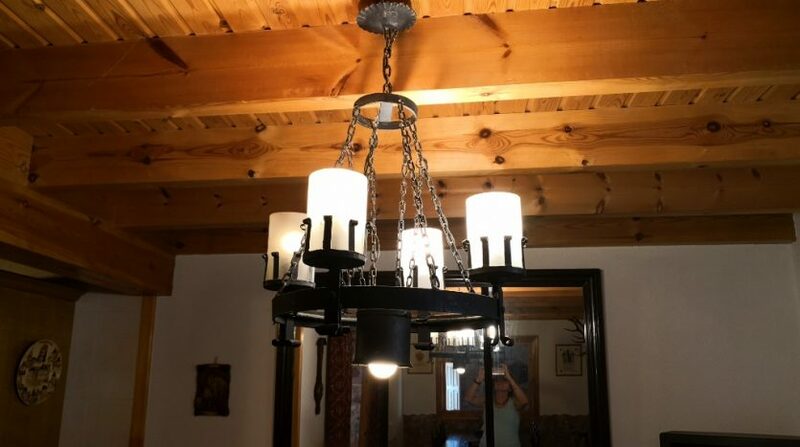 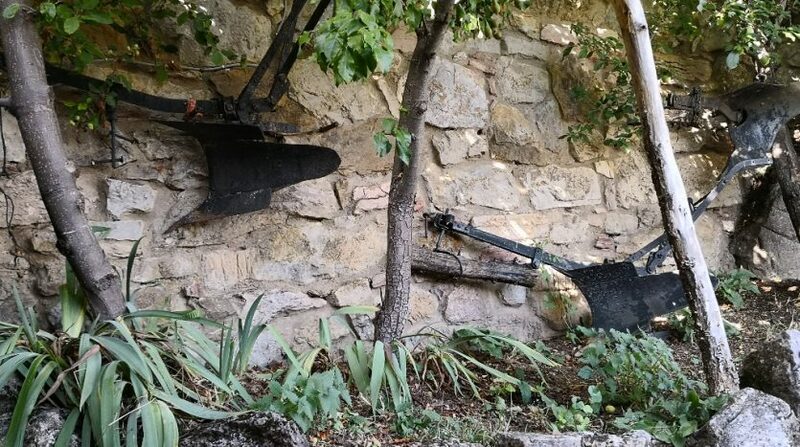 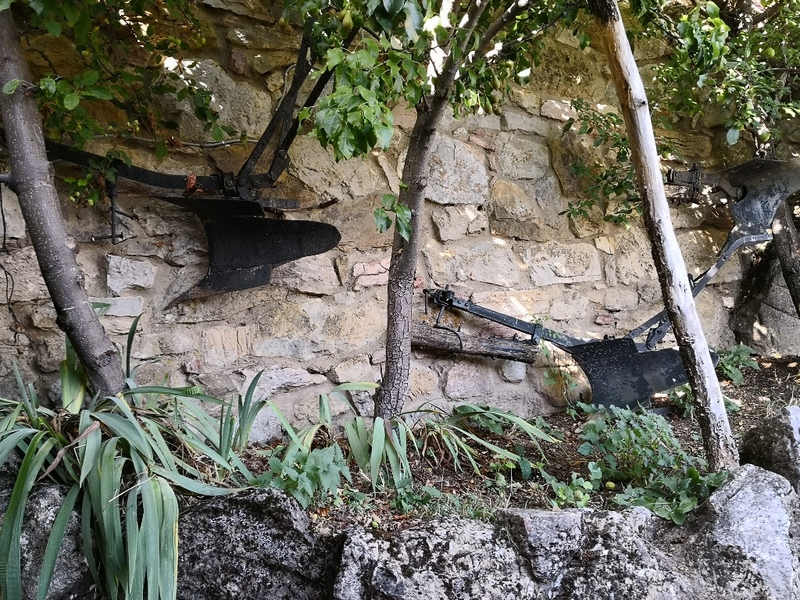 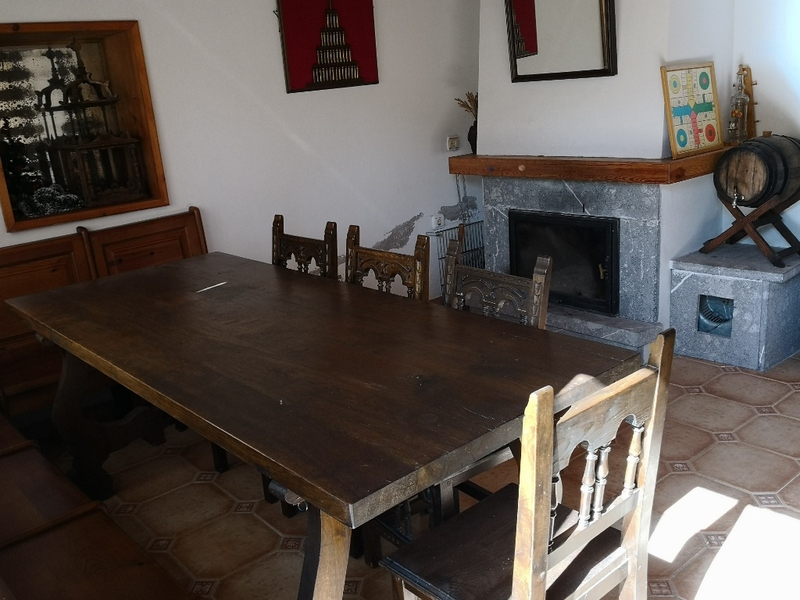 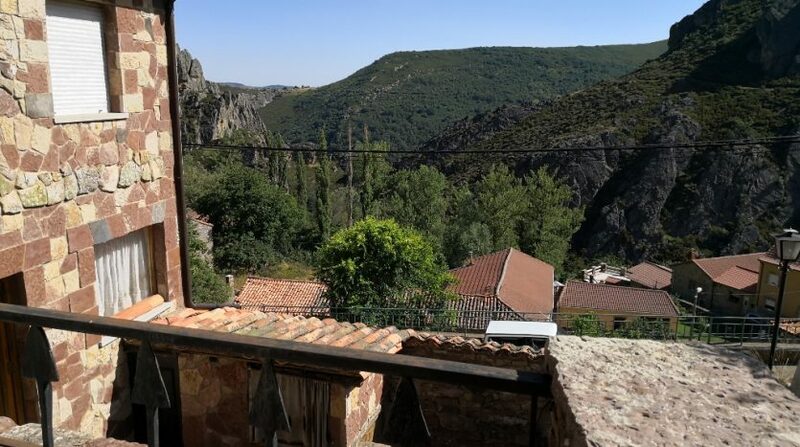 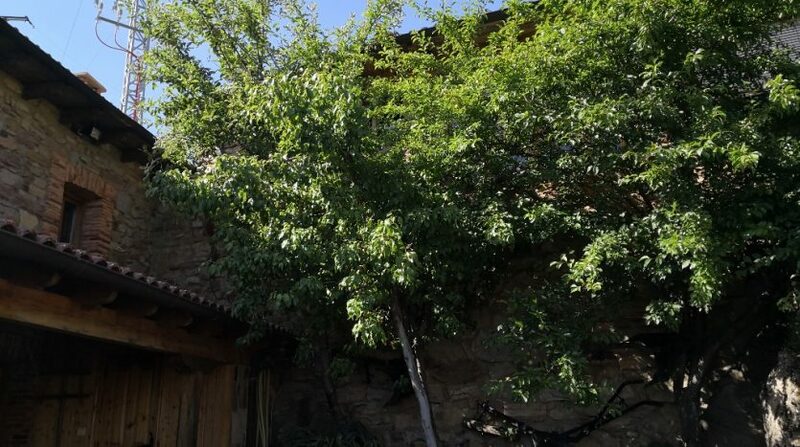 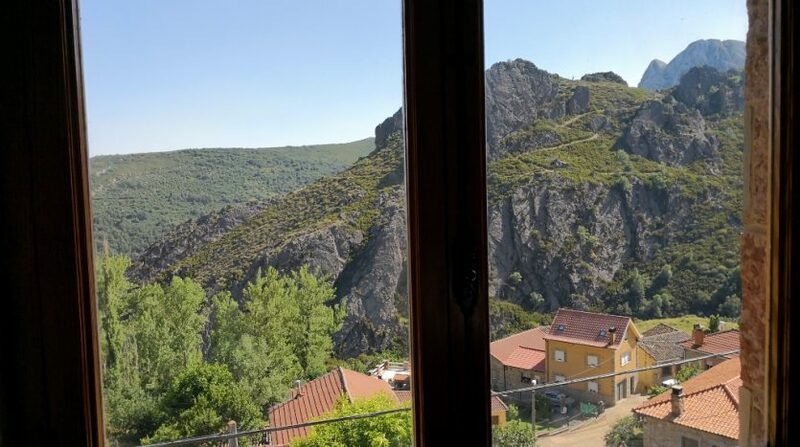 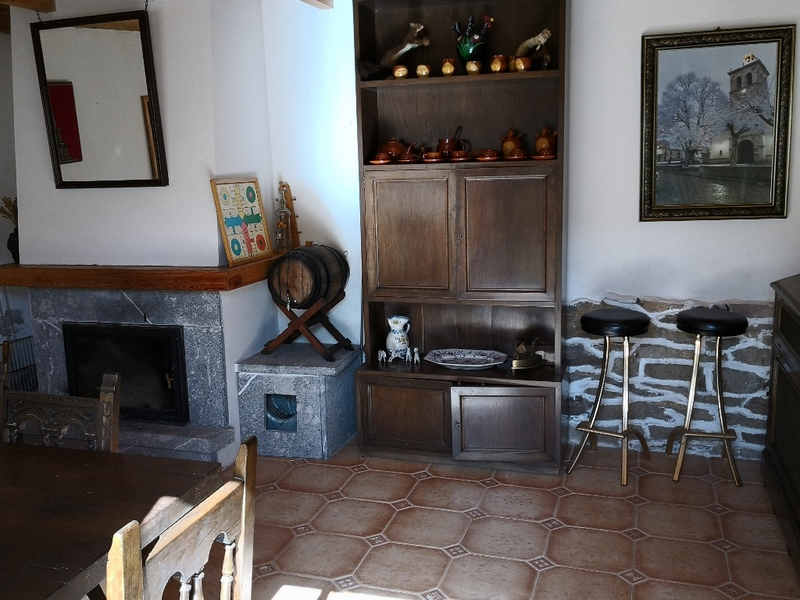 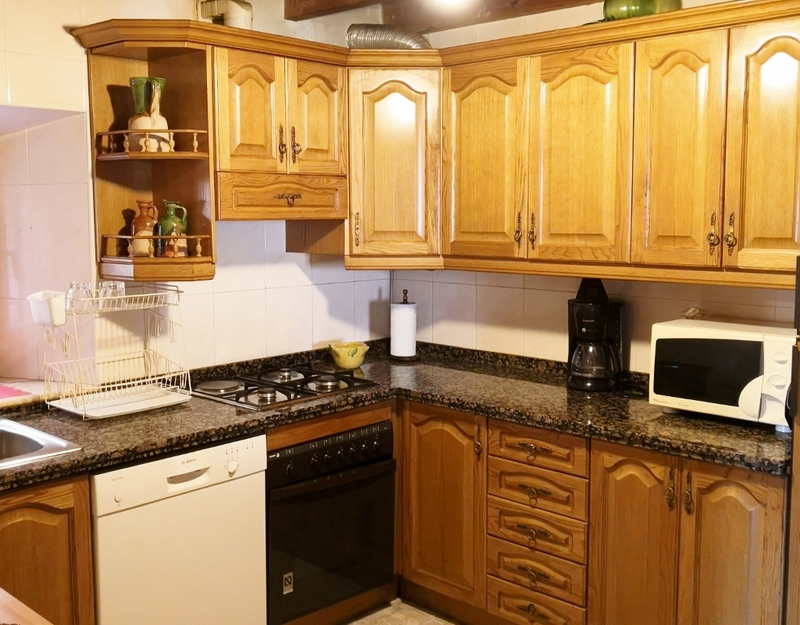 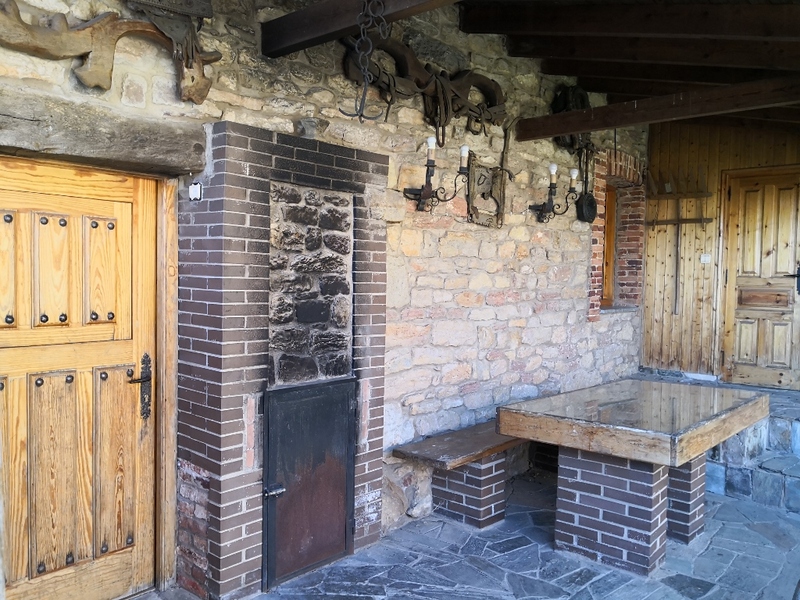 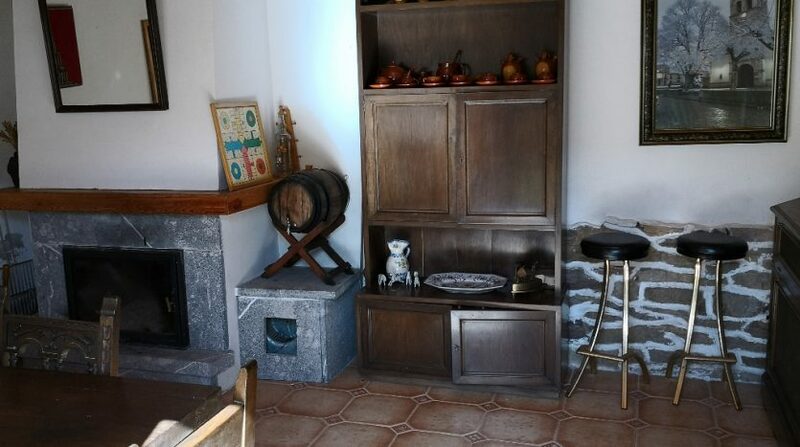 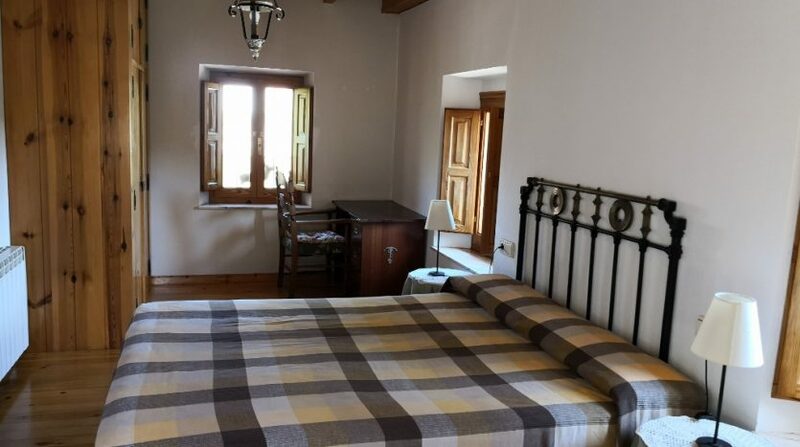 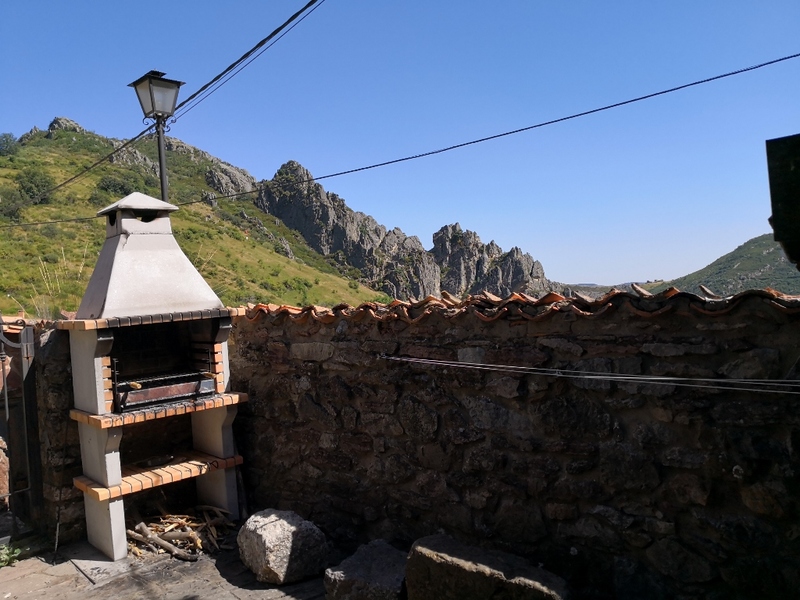 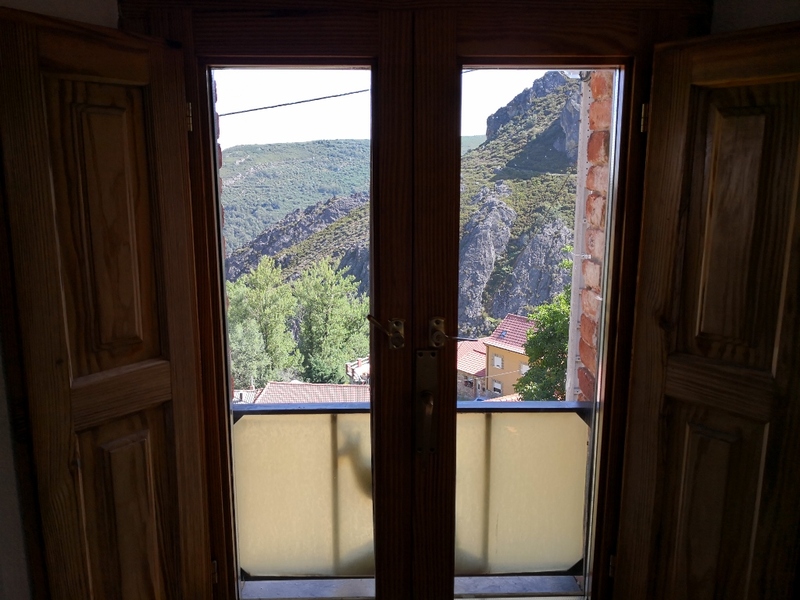 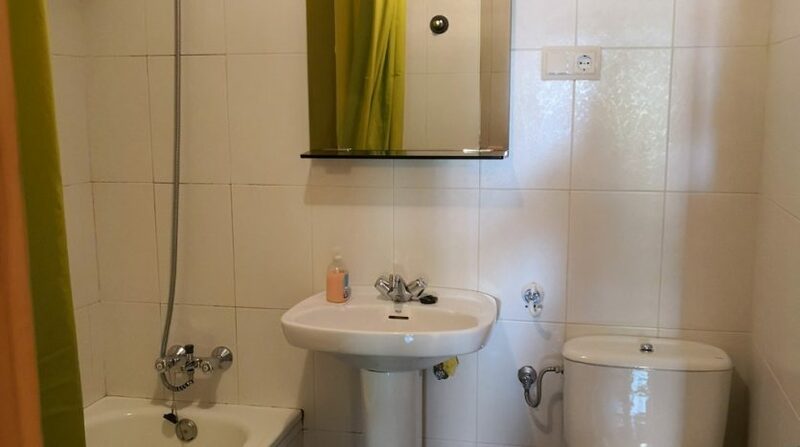 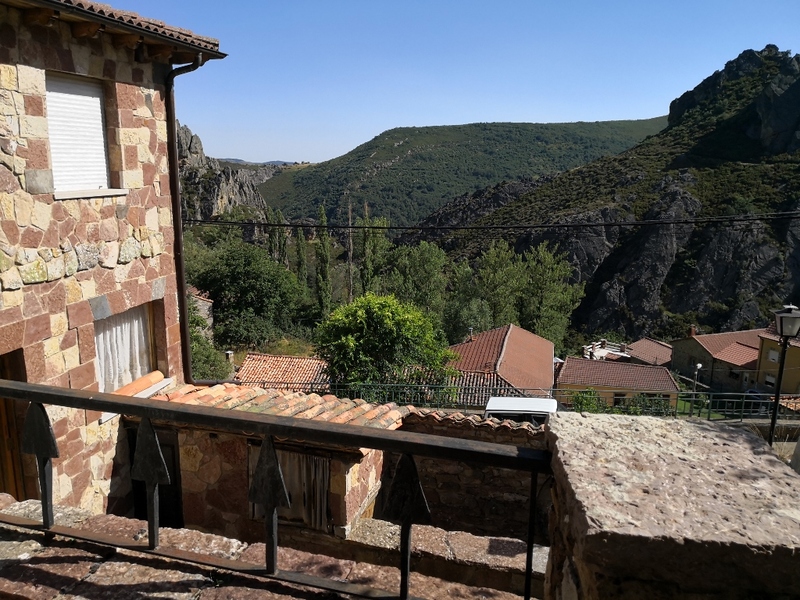 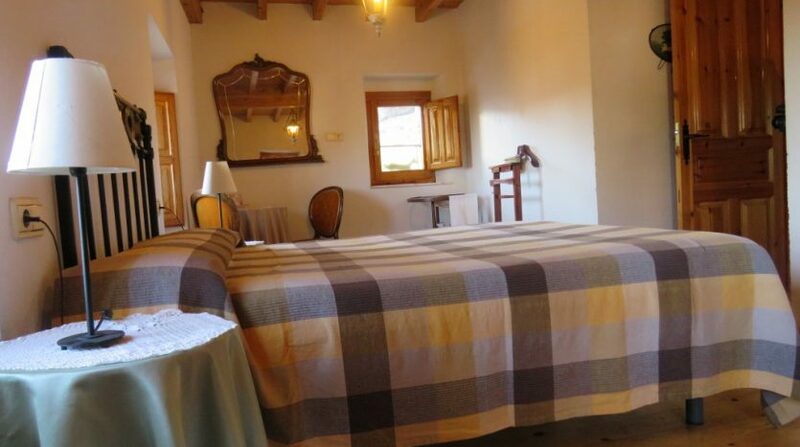 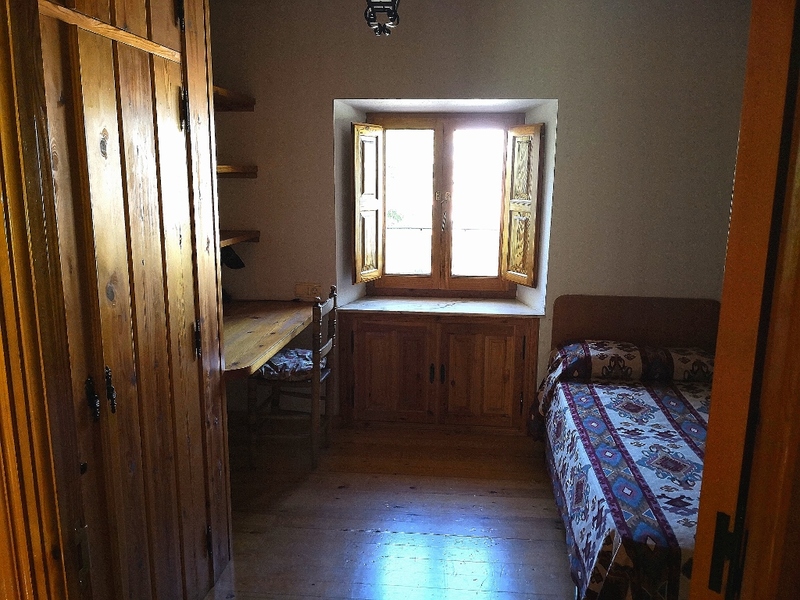 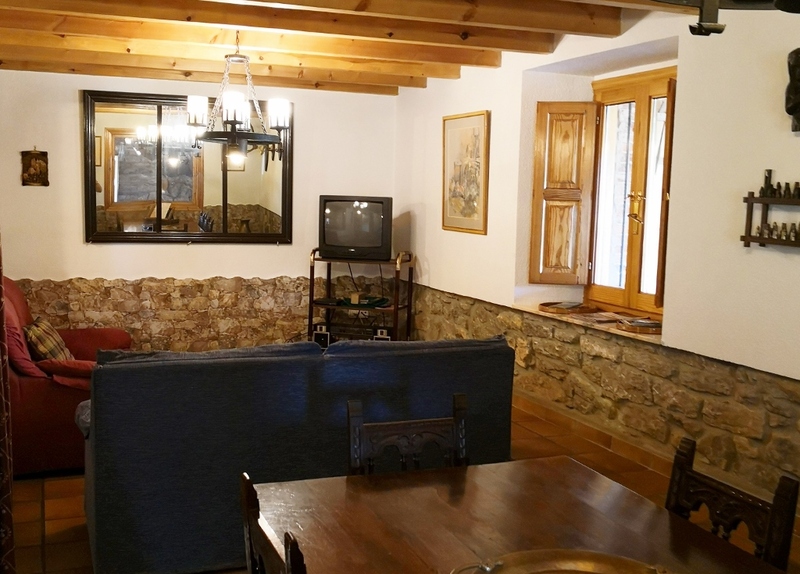 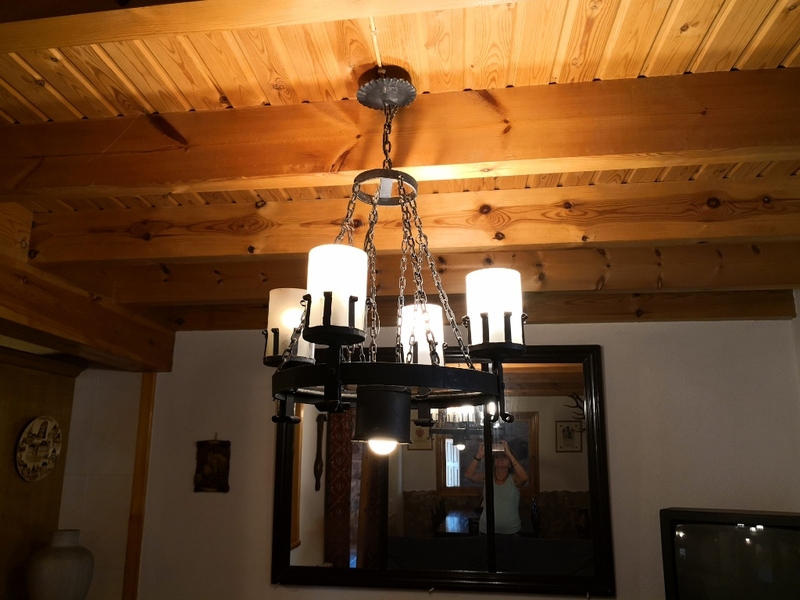 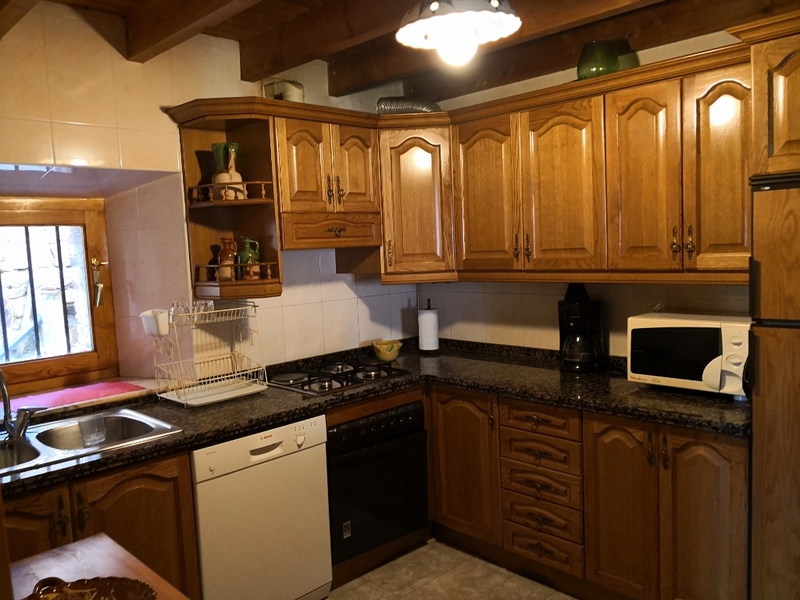 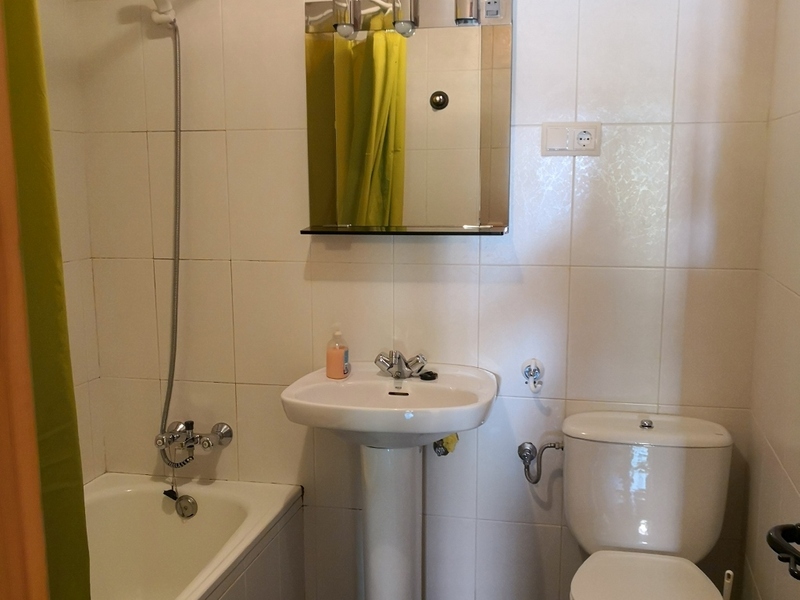 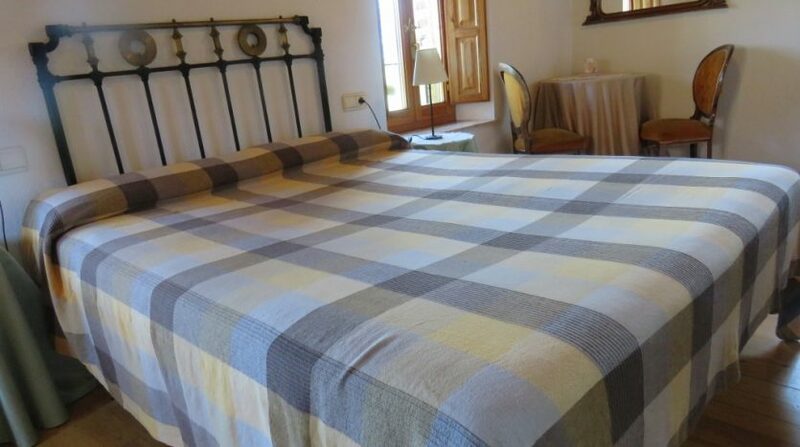 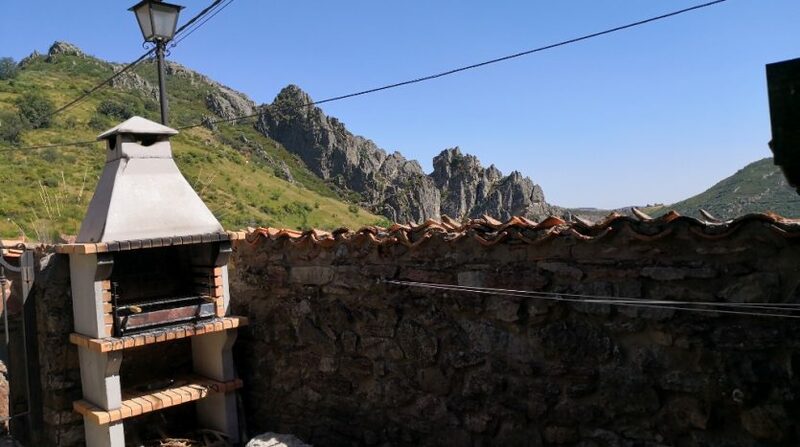 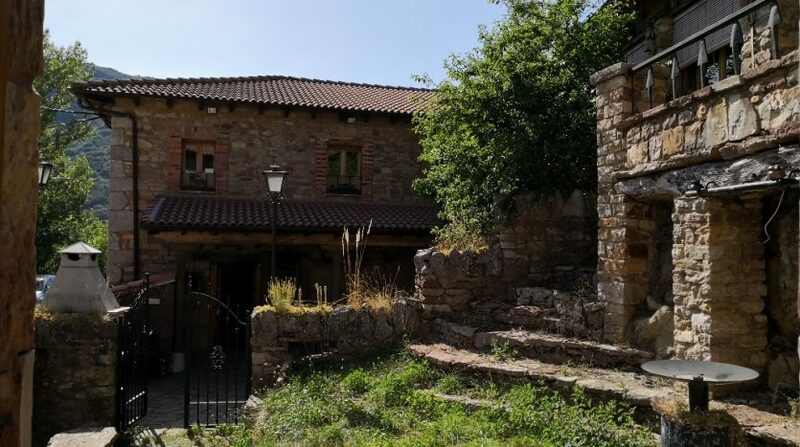 The property comes with a main house with a “Casa Rural” tourism licence which makes it the perfect property to enjoy as a holiday home or to create income. 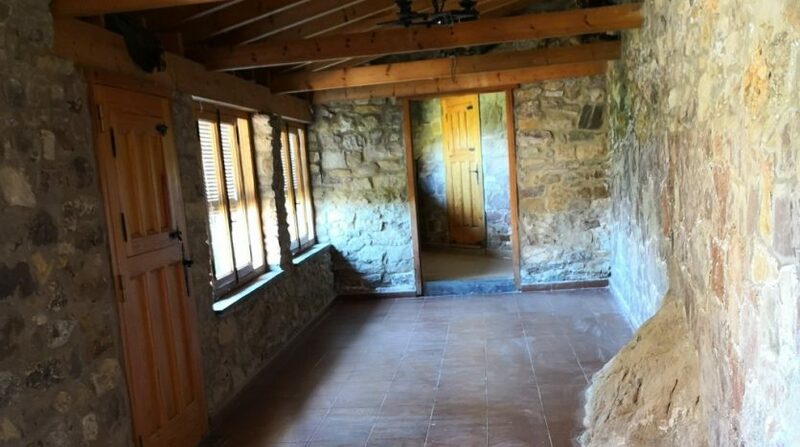 There is a further building which is ideal for conversion into further accommodation. 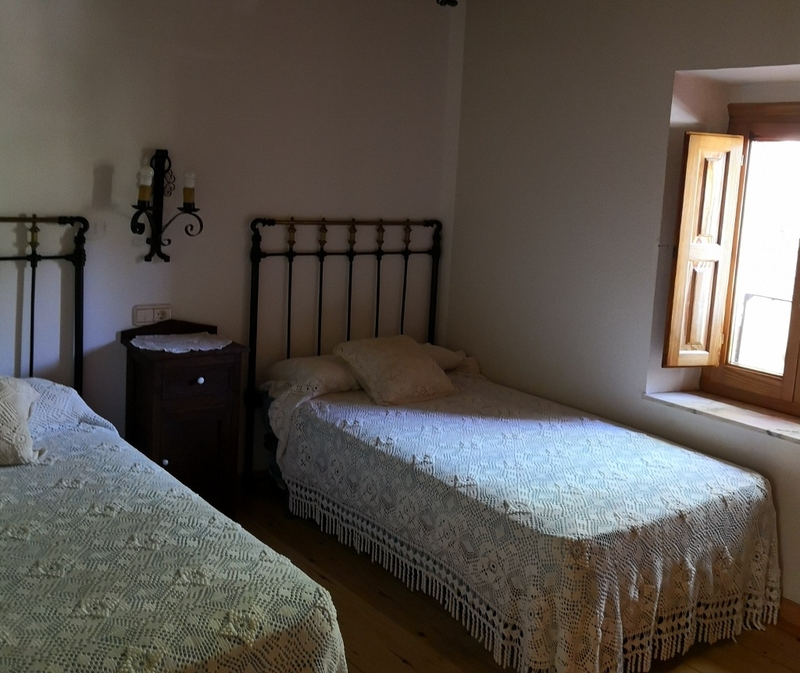 The main house is set across two floors and has 3 double bedrooms plus a single bedroom on the first floor and a family bathroom. 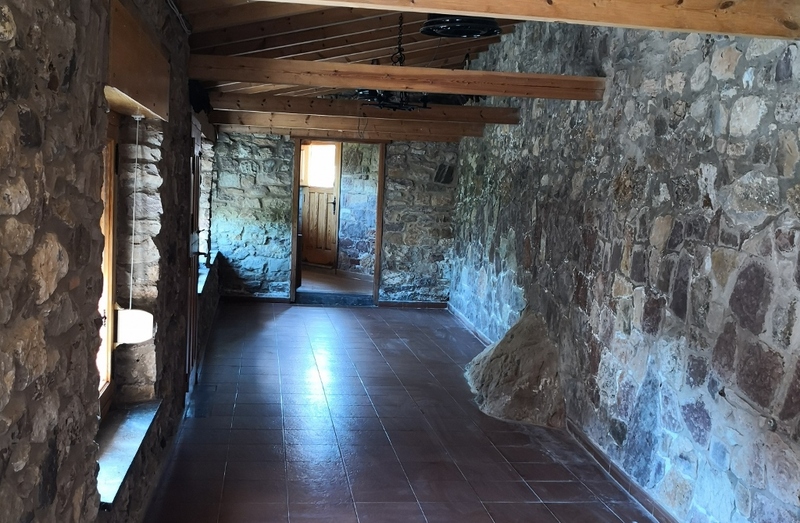 On the ground floor is a large entrance hallway, a separate living and dining room, a kitchen and a guest cloakroom/shower room. 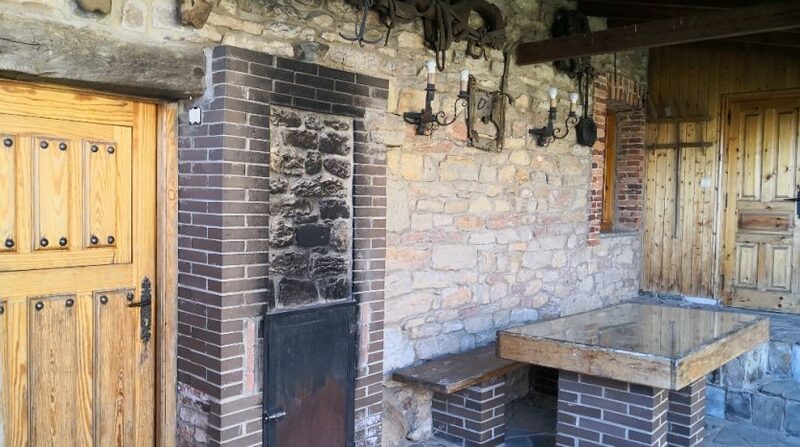 There is a rear garden area with a courtyard and large terrace with BBQ area. 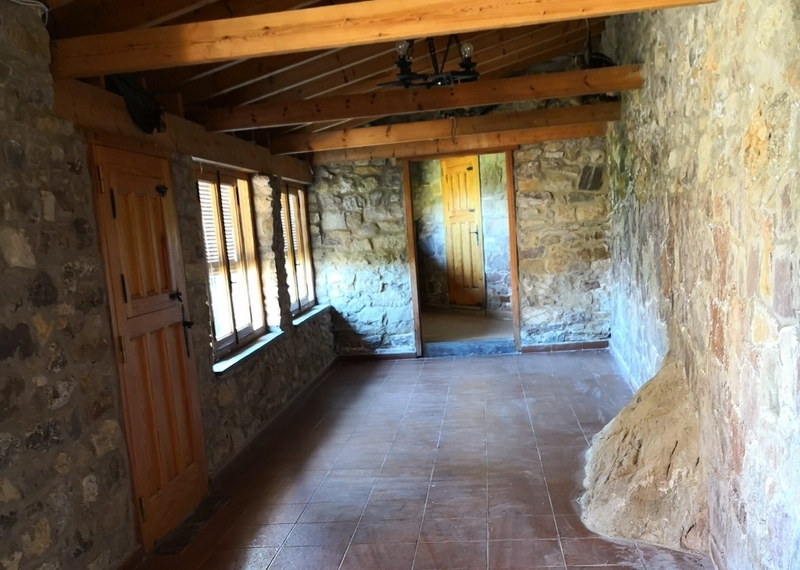 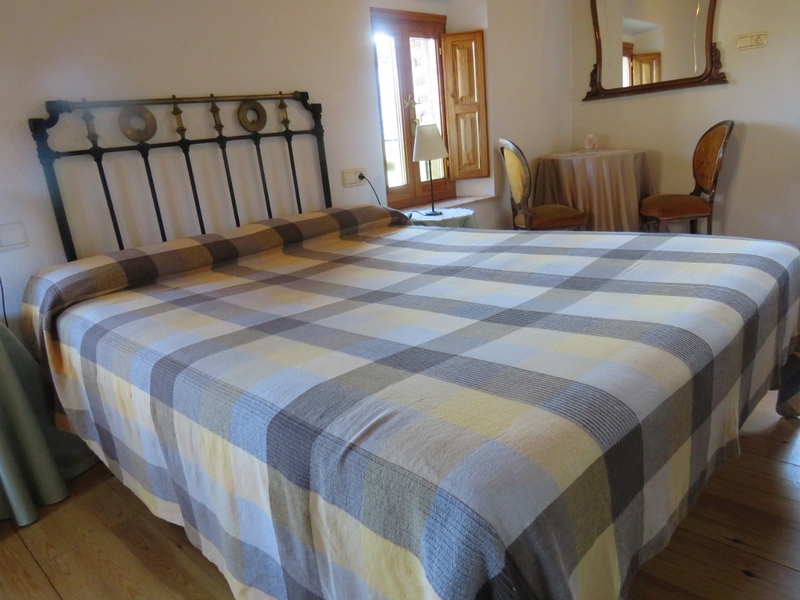 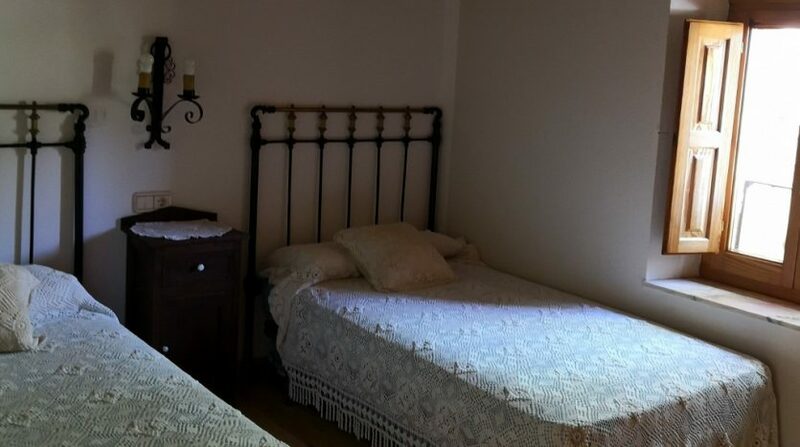 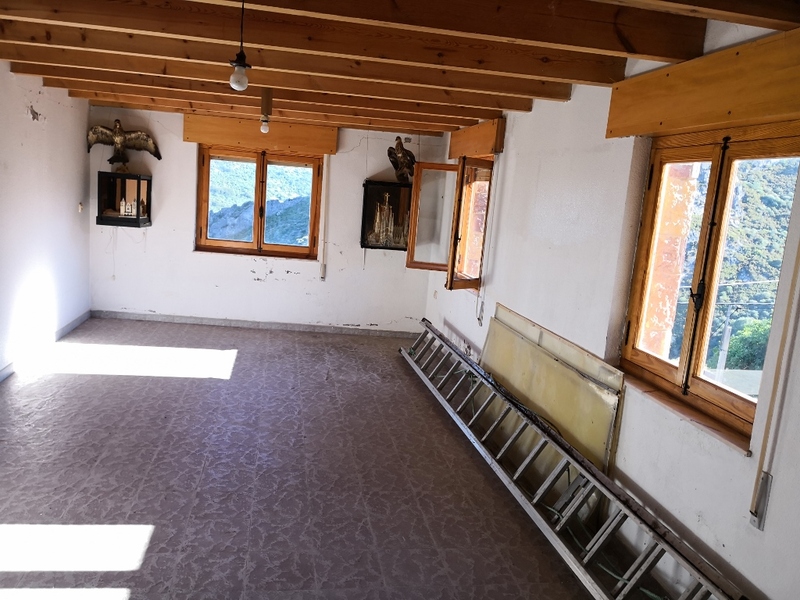 This building is set across the garden from the main house and also comes with a ground and first floor – both measuring 90M2 and this could be perfect for transforming into further bedrooms for holiday rentals or to create owner’s accommodation whilst retaining the business side and income. 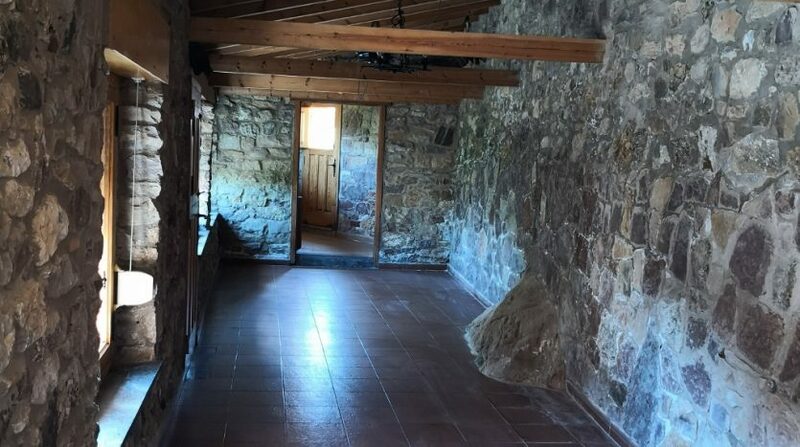 On the ground floor of this additional building is a large room with fireplace and on the first floor are two large rooms and a bathroom. 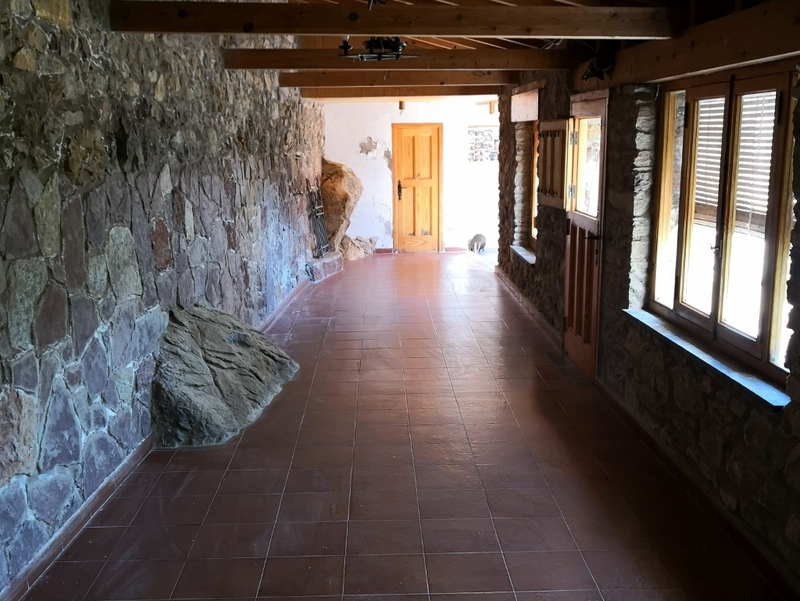 The exact layout that can be achieved is very much down to your imagination and what you want to achieve from the property. 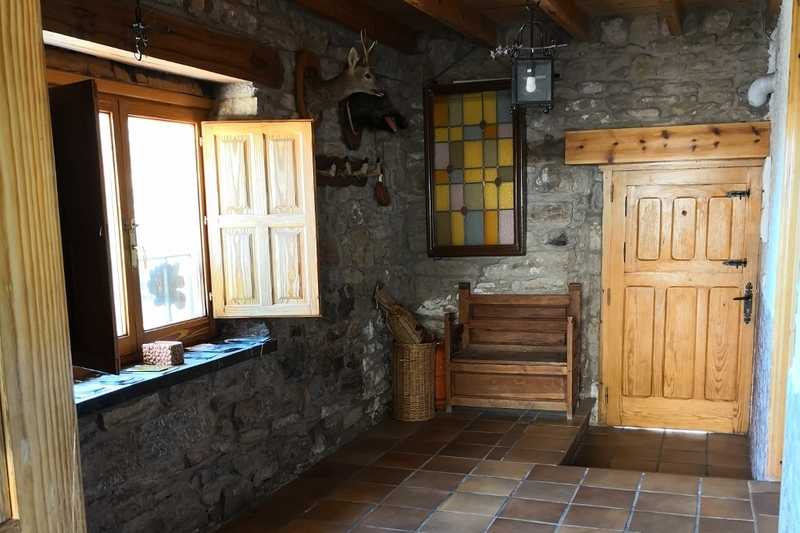 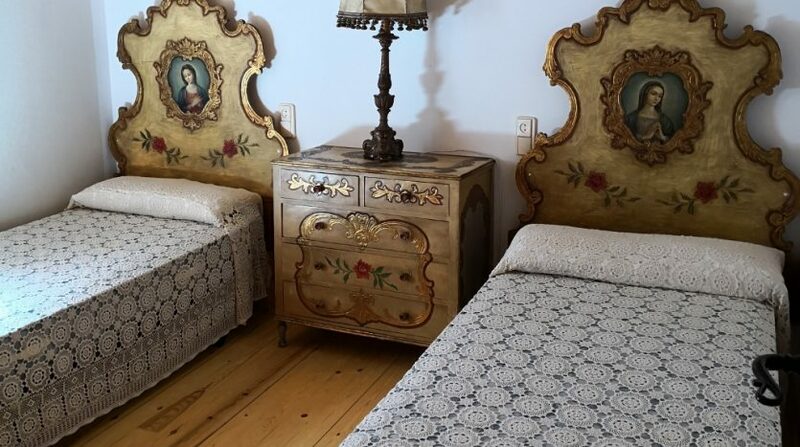 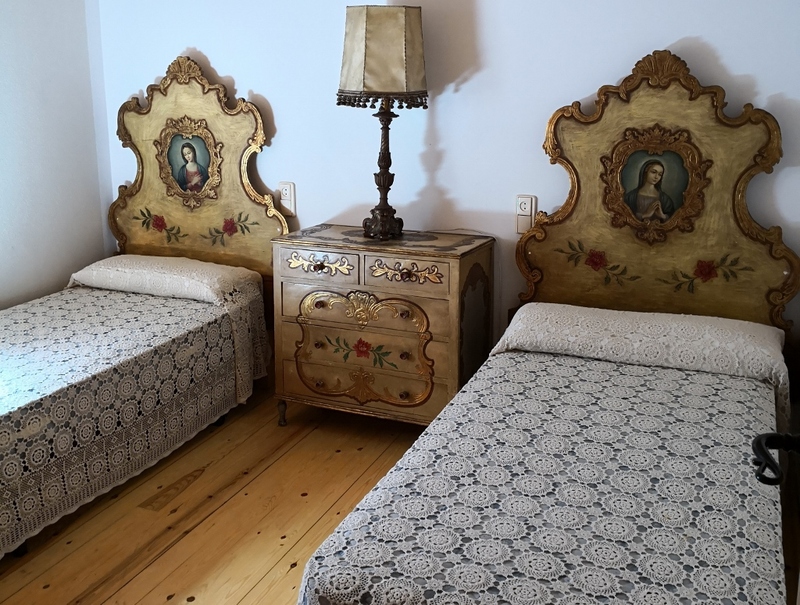 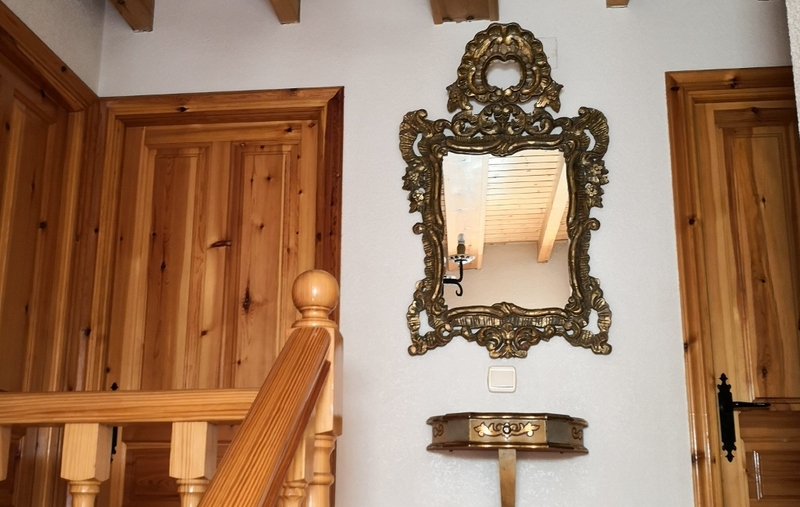 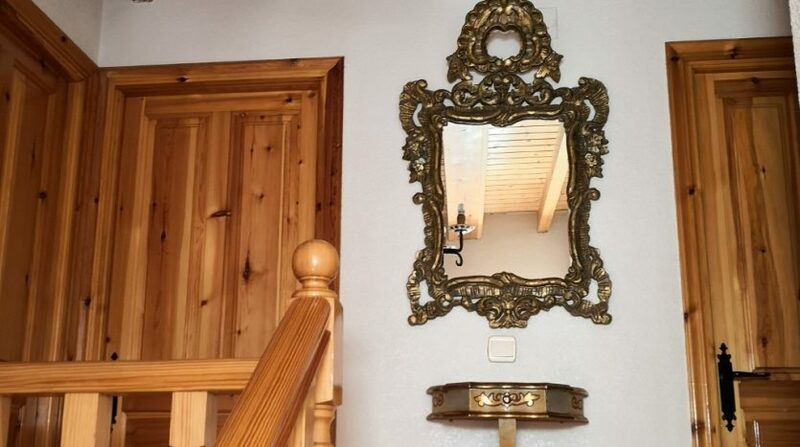 The main house has recently generated an income of around €12,000 but the owner feels that this could easily be doubled with “international” marketing. 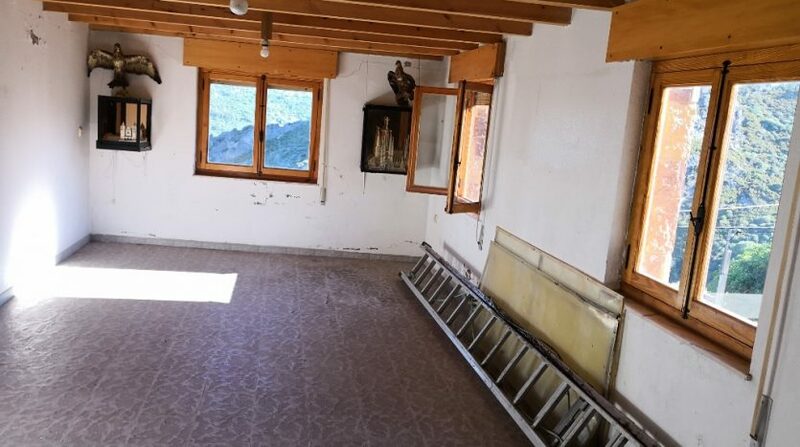 In addition, the extra building could easily help to create more income. 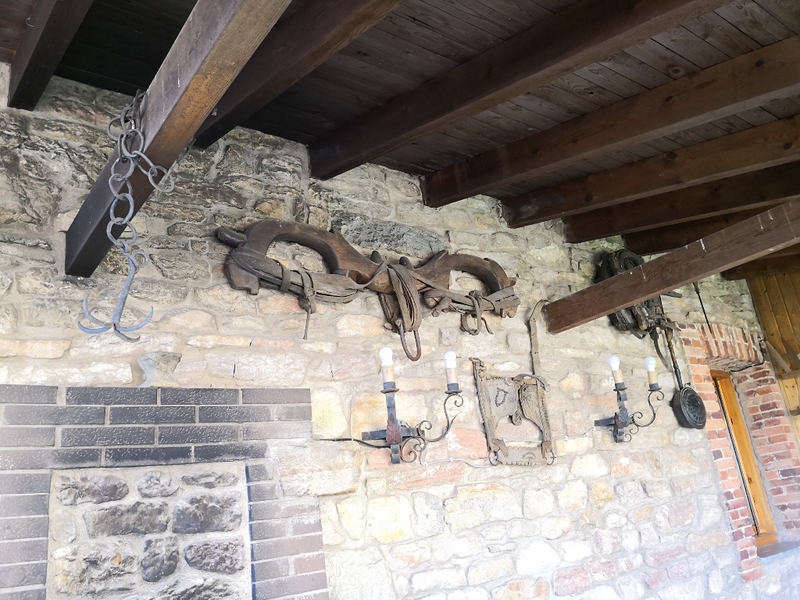 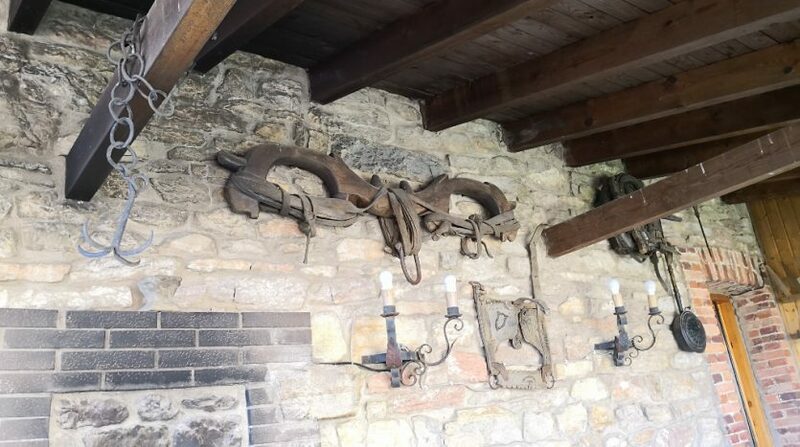 For those wishing to enjoy land or even horses, the owner is willing to consider the sale of existing stables which are located approximately 100m from the house for sale. 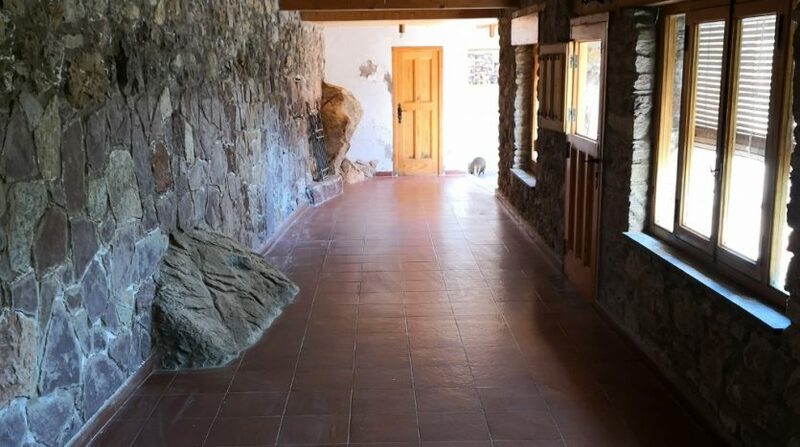 There is also around 1Ha (approximately 100,000M2) of land which can be sold. 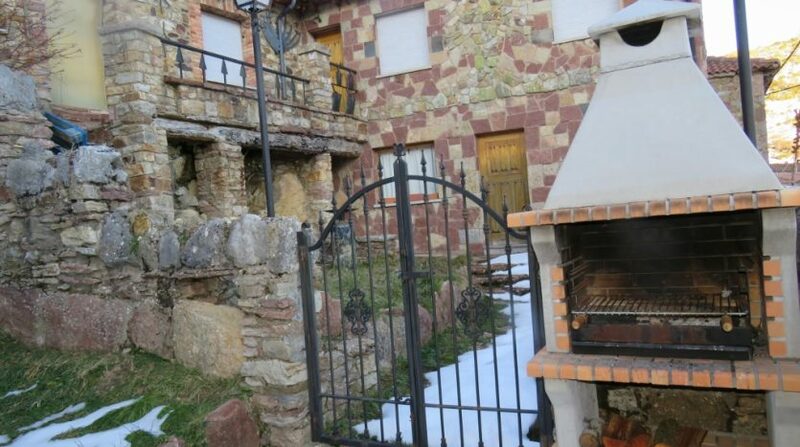 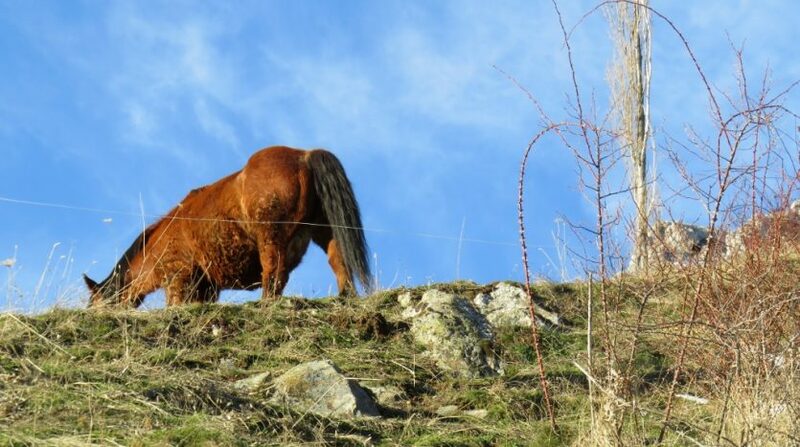 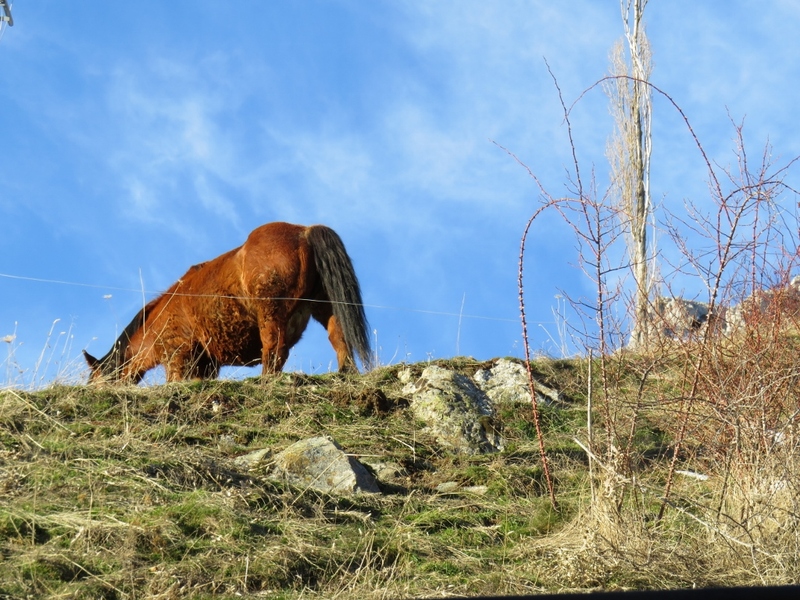 They are small plots of land and the price for each Hectare (10,000M2) is €1,200. 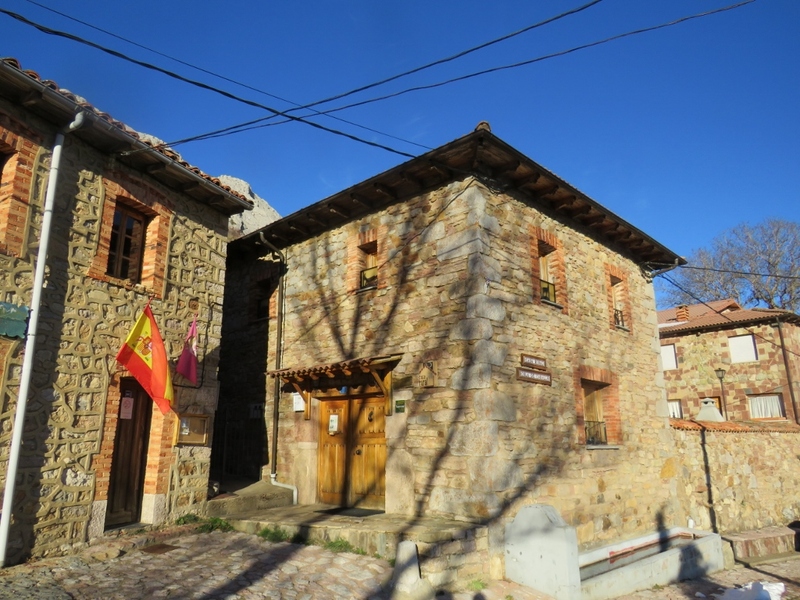 Valdorria is a small hamlet set within the beautiful and unspoiled countryside of the Cordillera Cantábrica north of León. 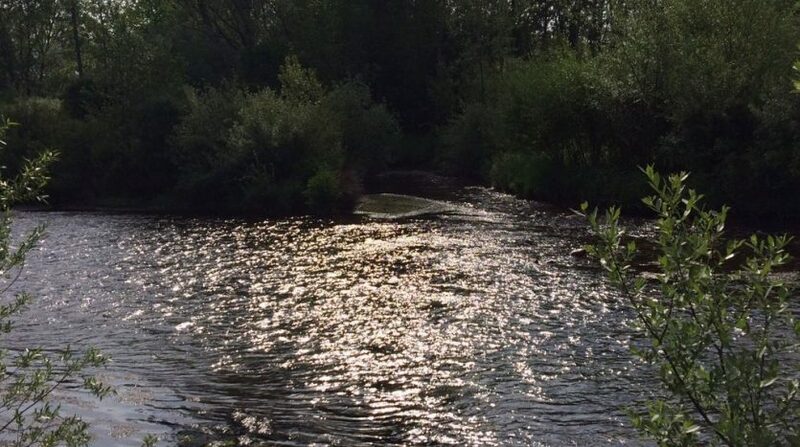 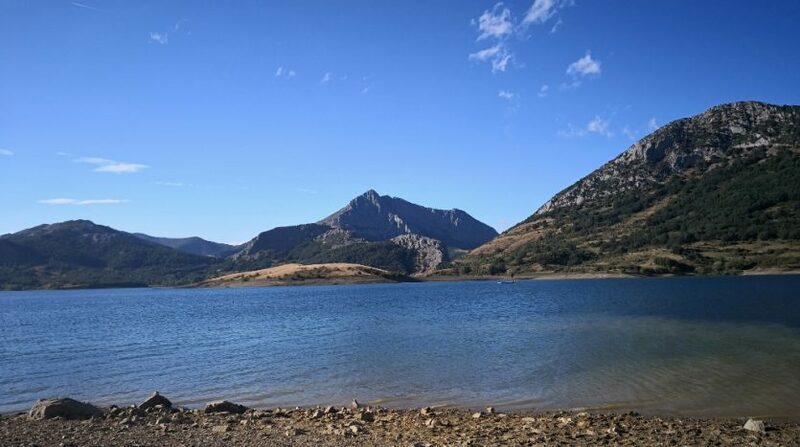 The area is full of beauty and is a popular destination for a small number of tourists who seek tranquillity and stunning countryside. 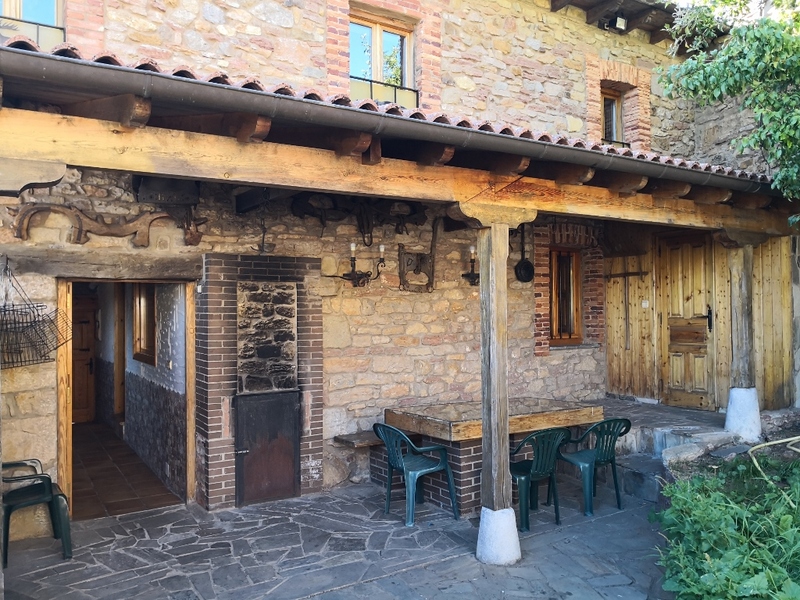 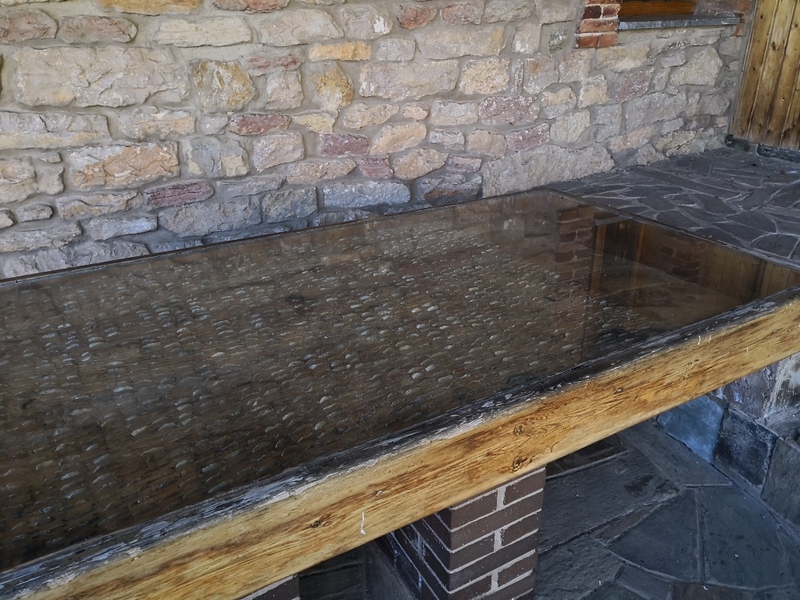 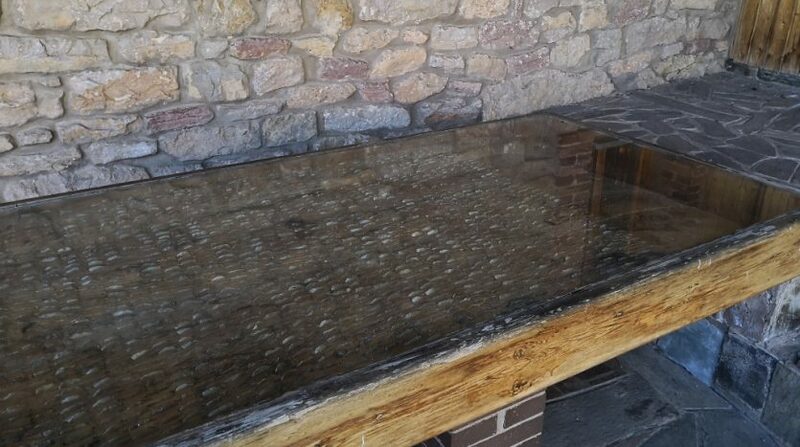 Whilst the hamlet of Valdorria doesn’t have a wide range of facilities, it does have a bar/restaurant and there are a number of local villages for bars, restaurants and shopping options. 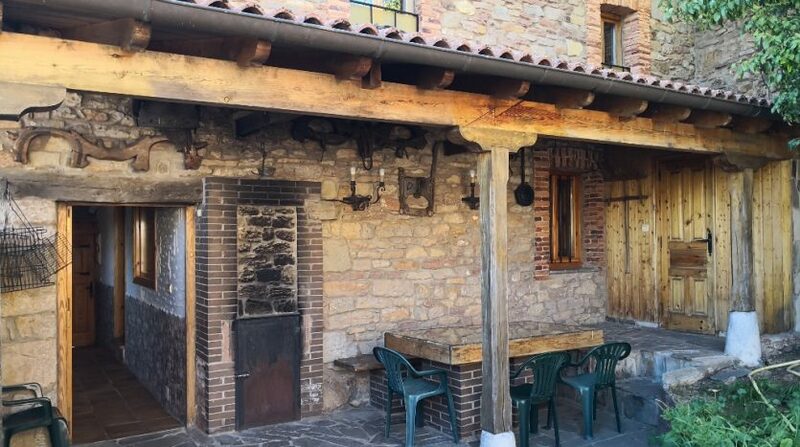 Equally, the historic city of León is less than an hour away and there is also easy access to the port cities of Santander and Bilbao. 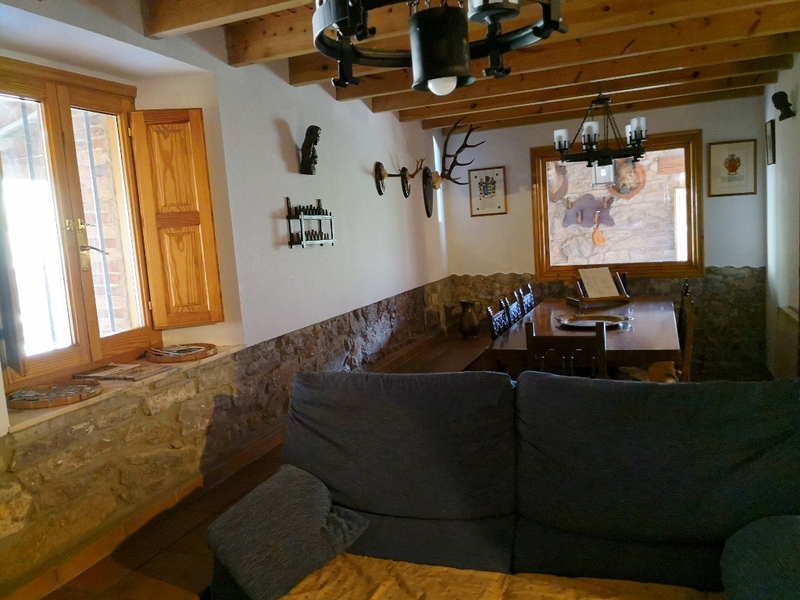 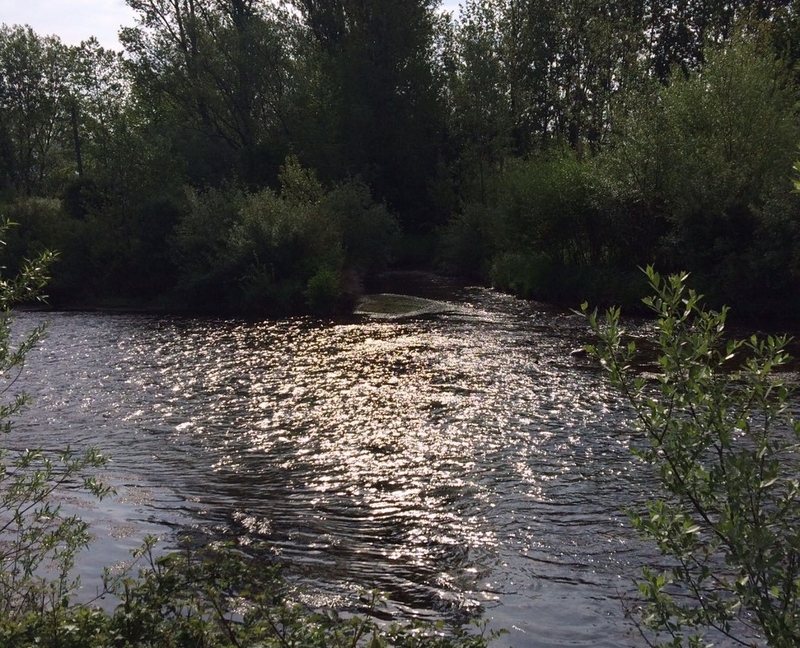 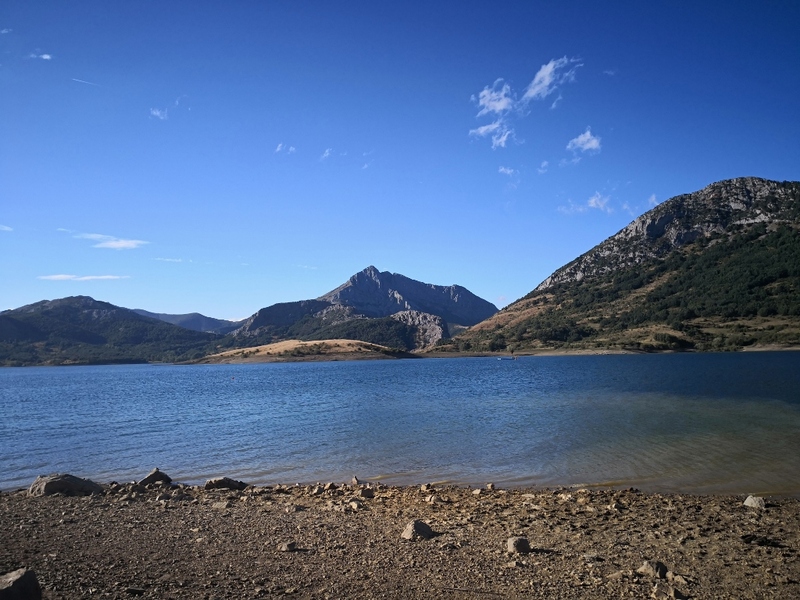 Kayaking along the Porma river, skiing at San Isidro ski resort (just 22 km from the house), horse riding tours, fishing, trekking and climbing. 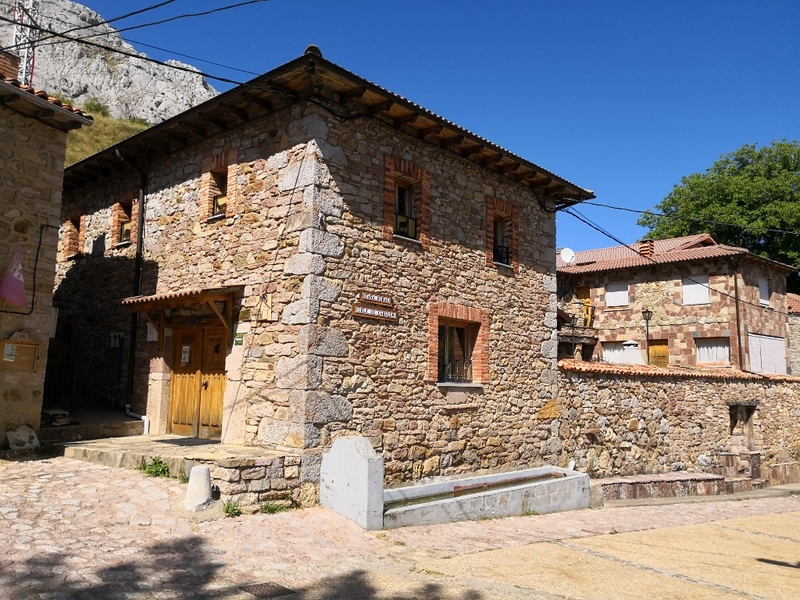 There are also a number of places to visit in the area including Hoces de Vagacervera, Hoces de Valdeteja, Puerto de Piedrafita-Vegarada y Pajares, Valle del Marques for walking routes, the waterfall at “Cola de caballo” in the Curueño river and various churches at Ermita de Boinas (17th Century) and Santuario Mariano de Manzaneda del Torio and Roman remains and bridges at Torio y Curueño.